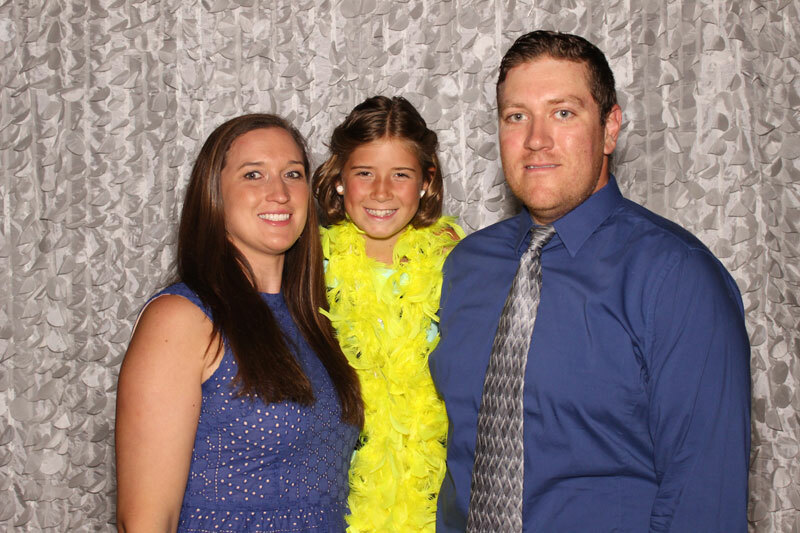 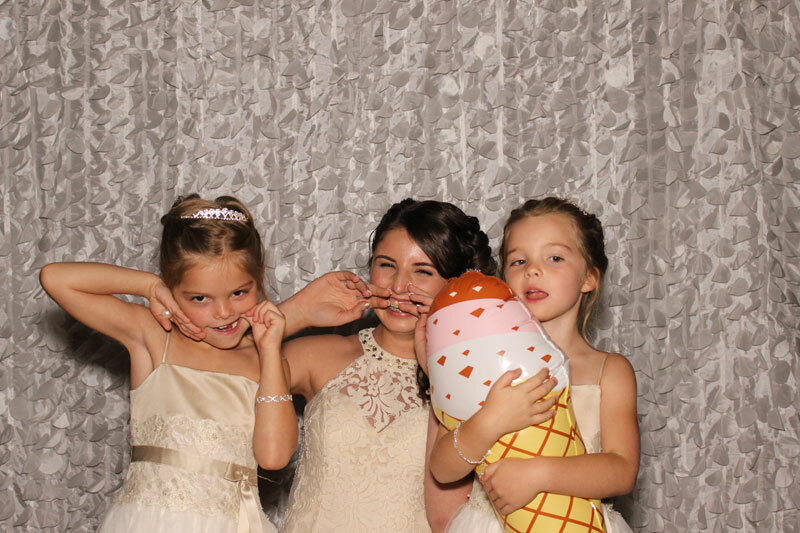 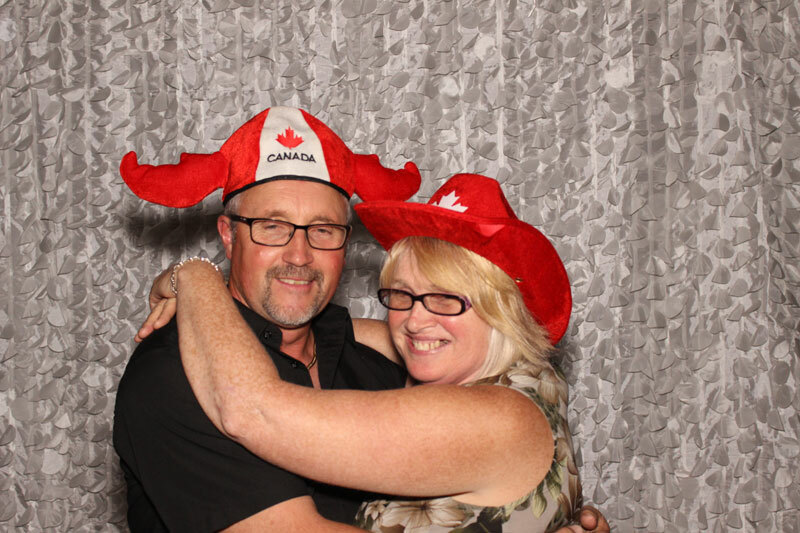 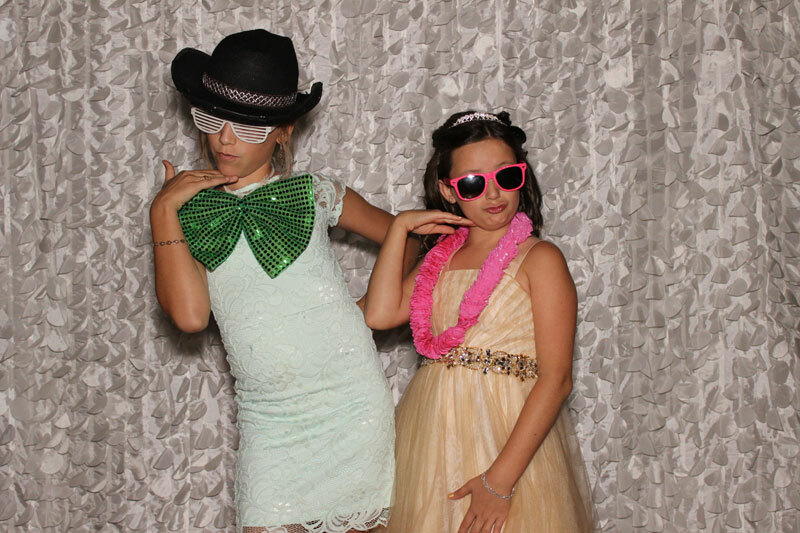 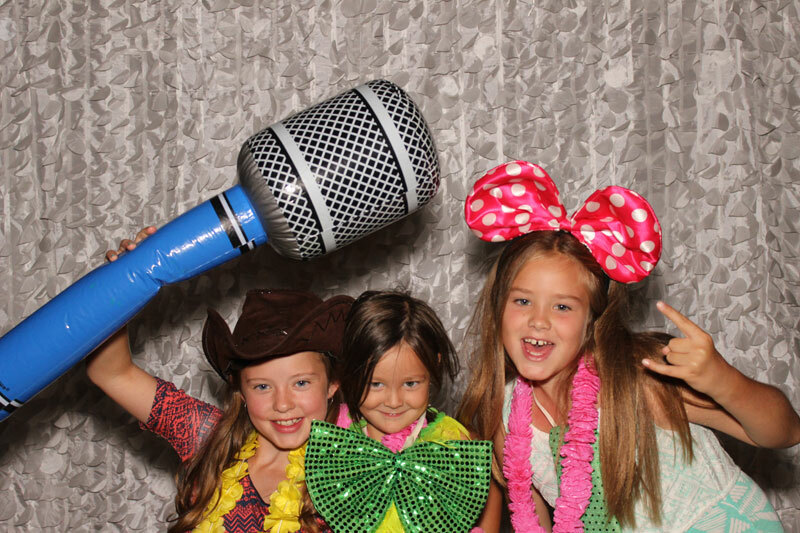 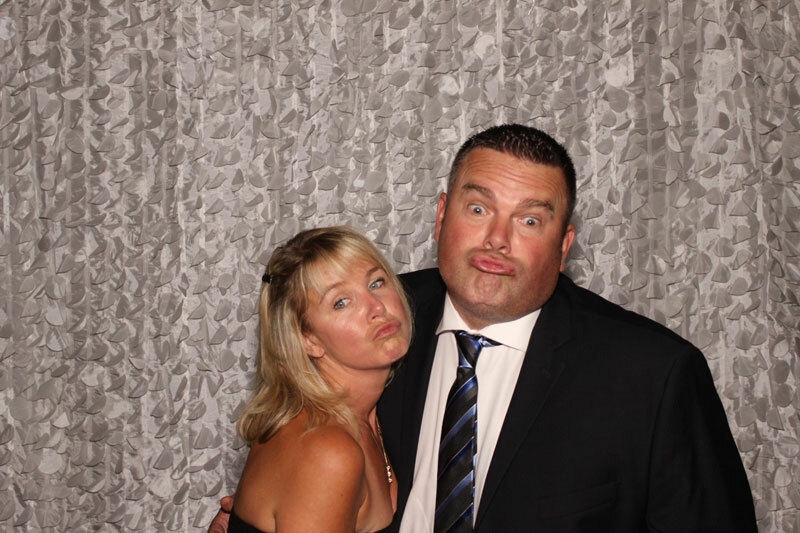 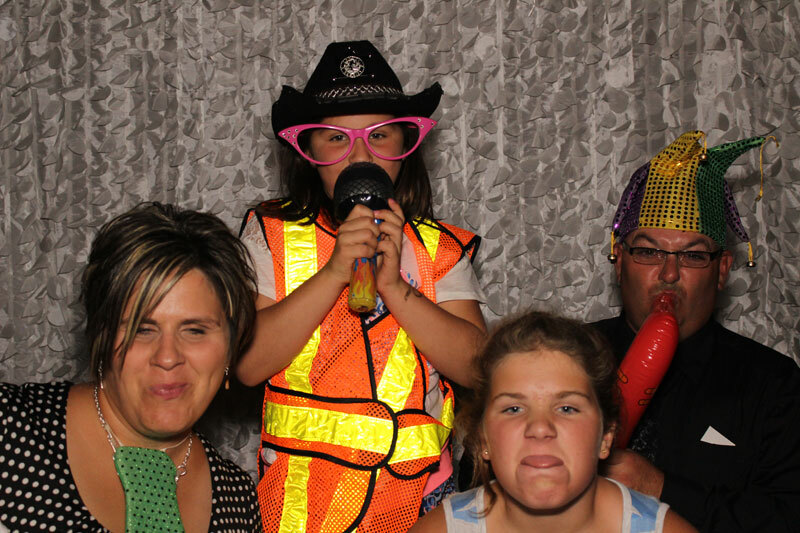 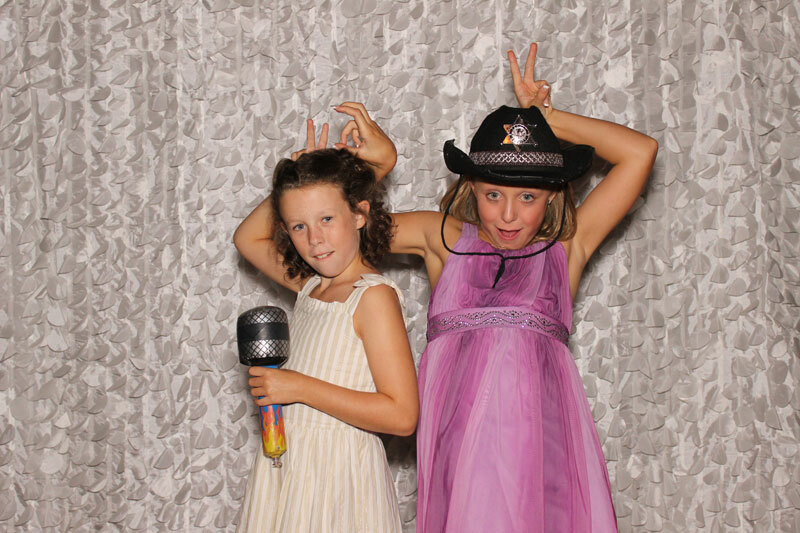 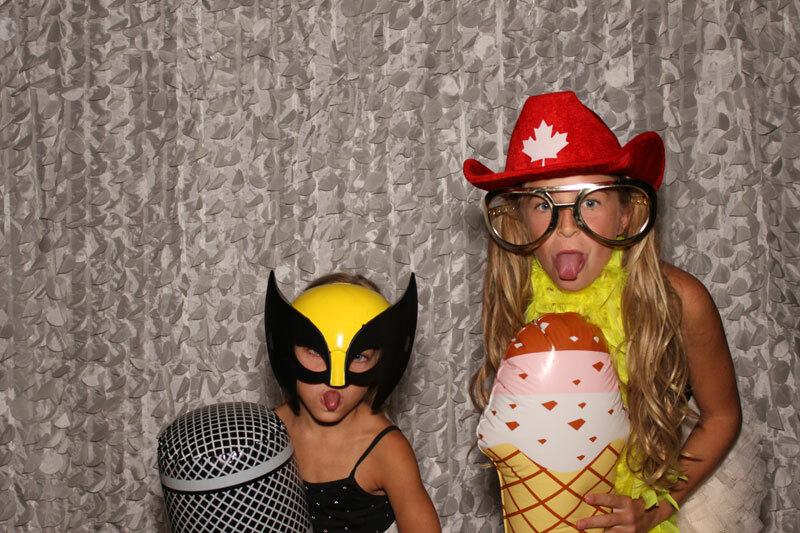 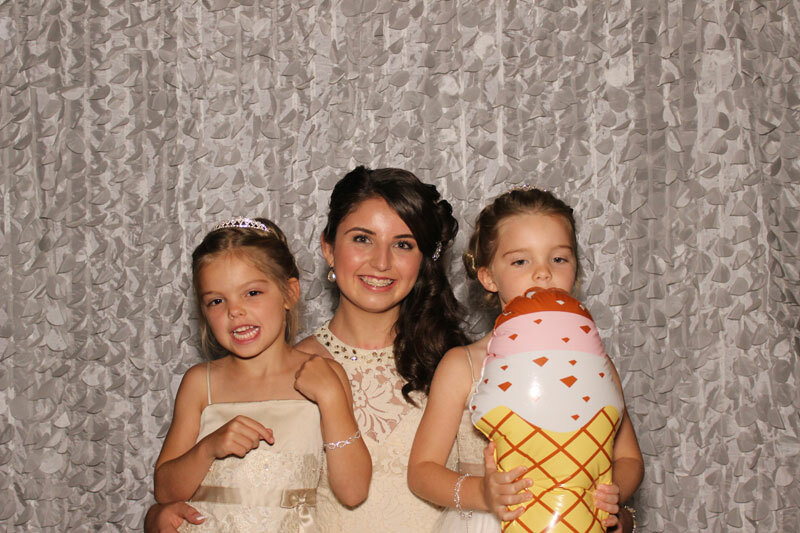 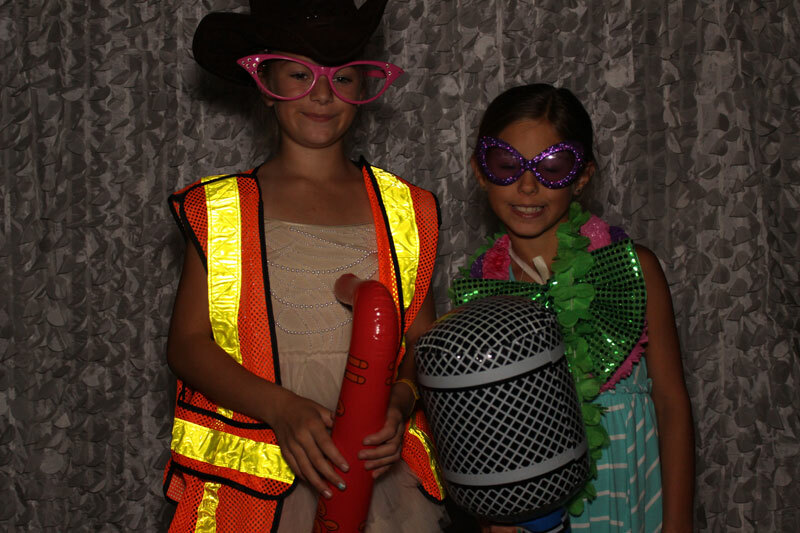 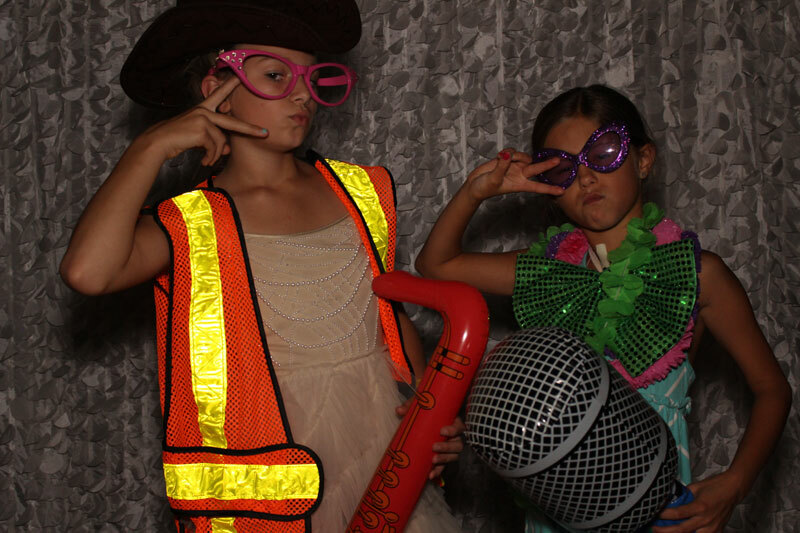 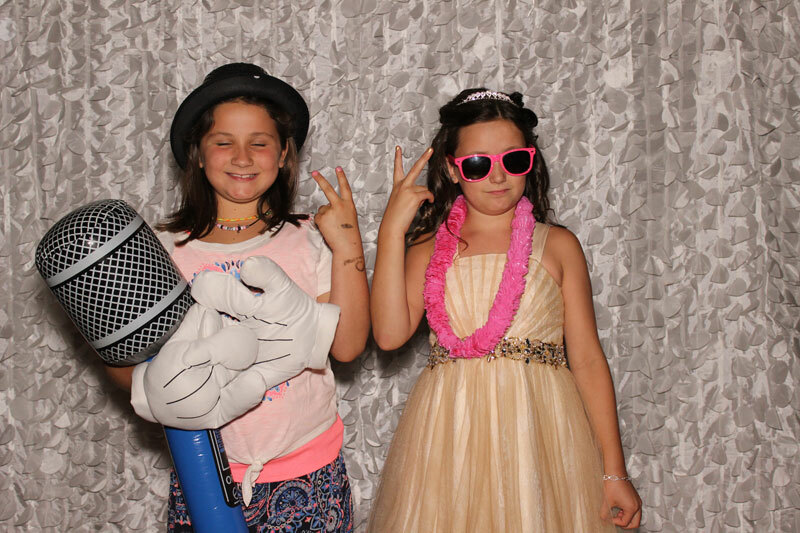 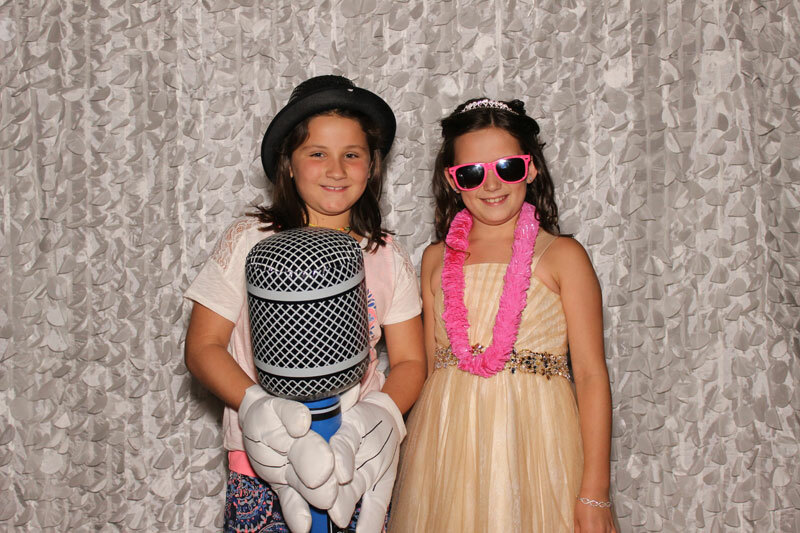 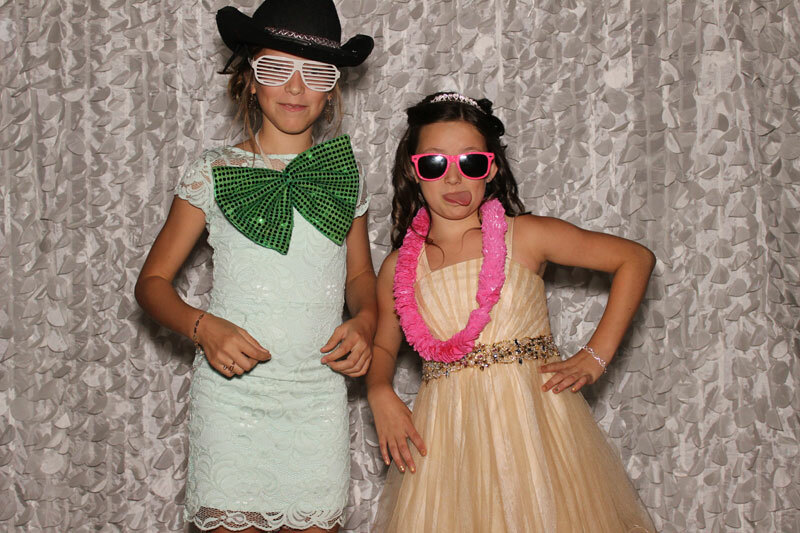 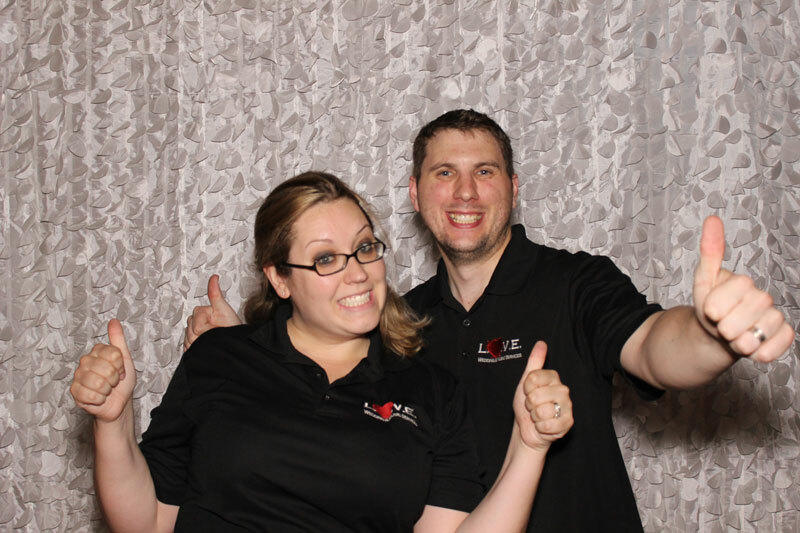 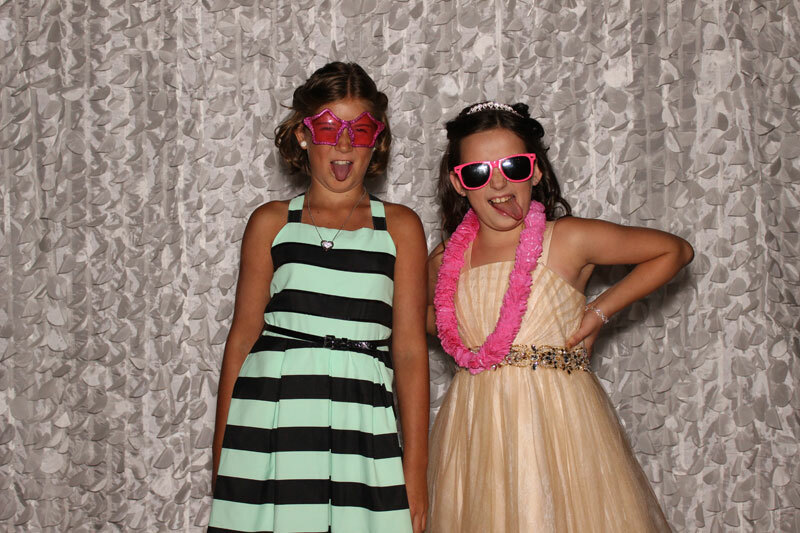 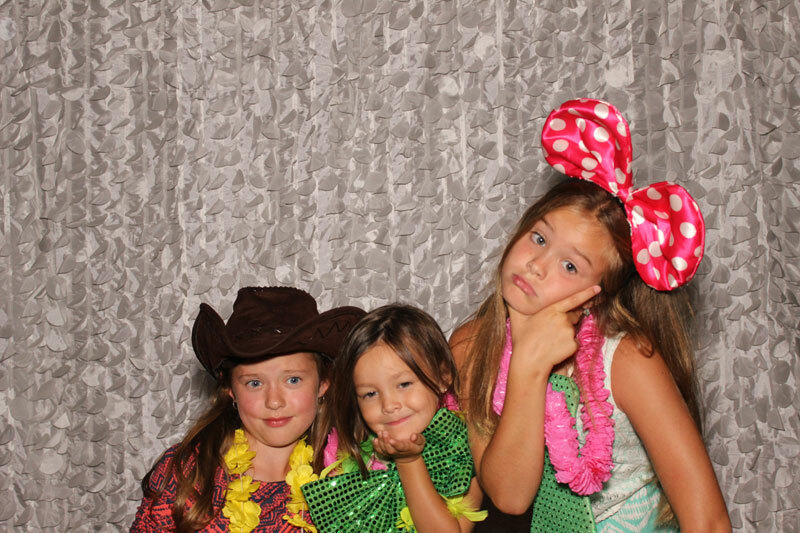 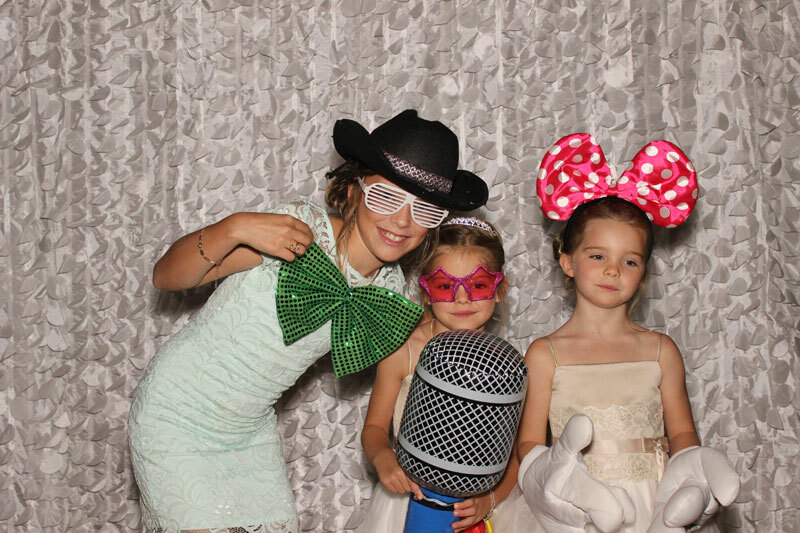 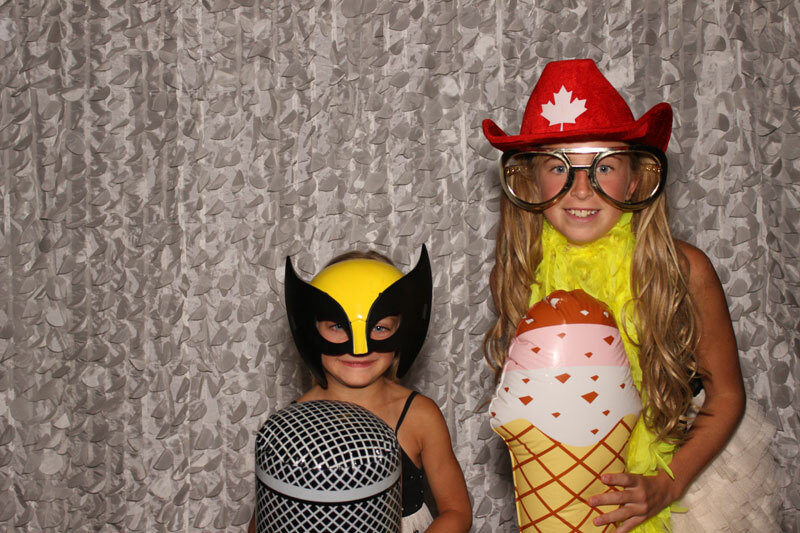 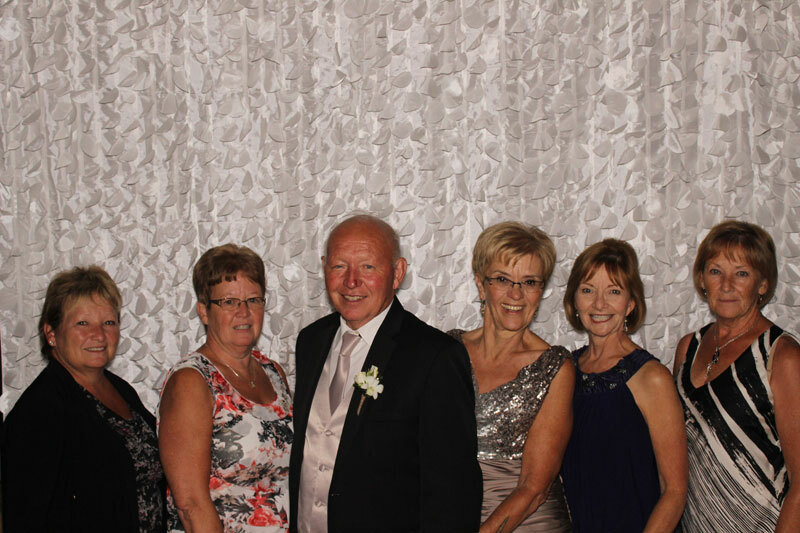 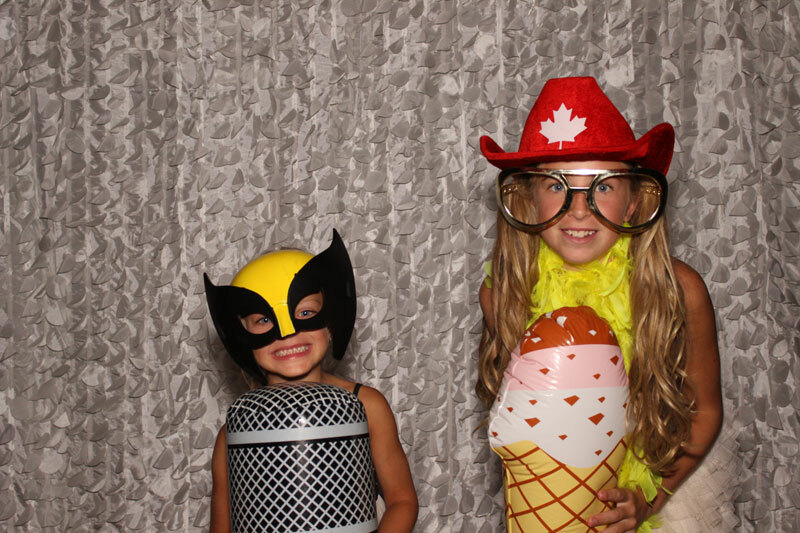 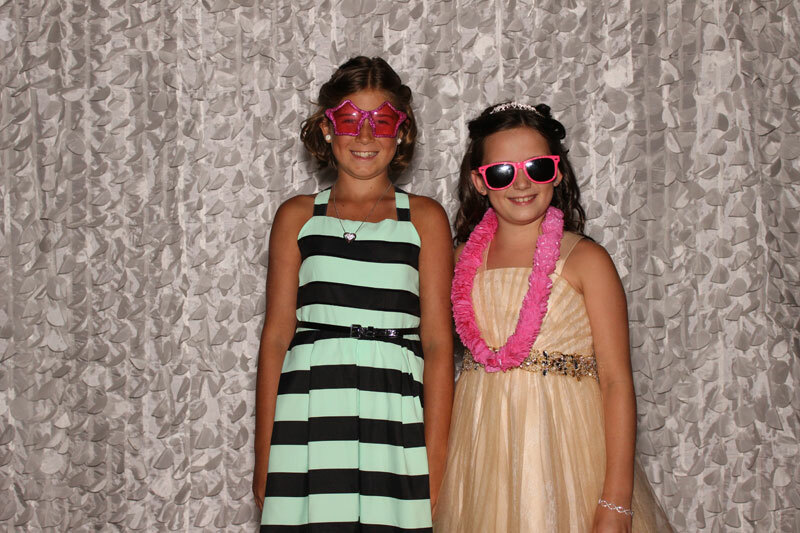 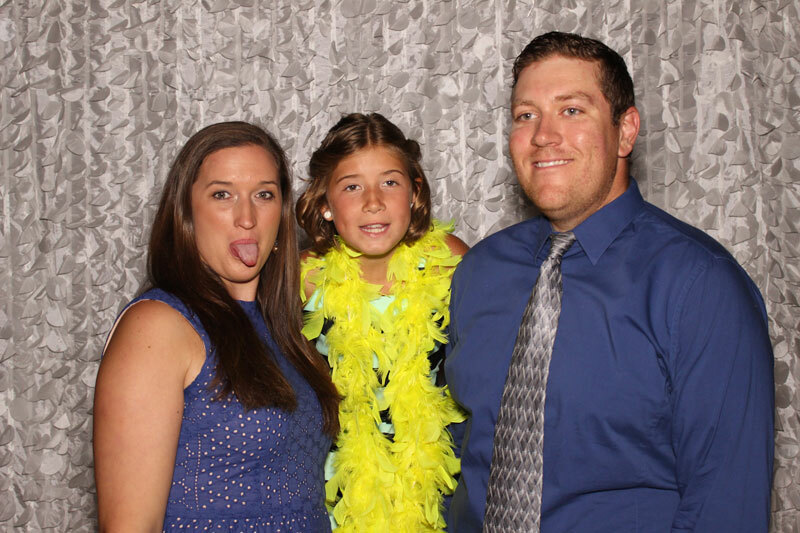 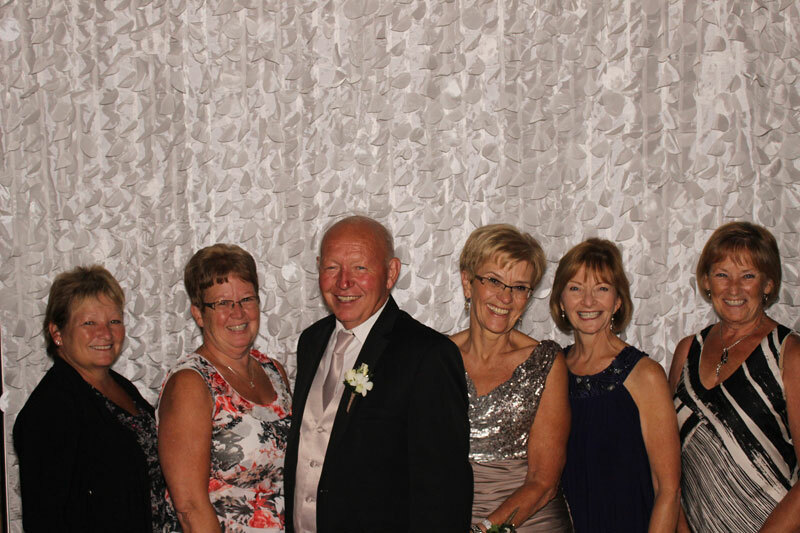 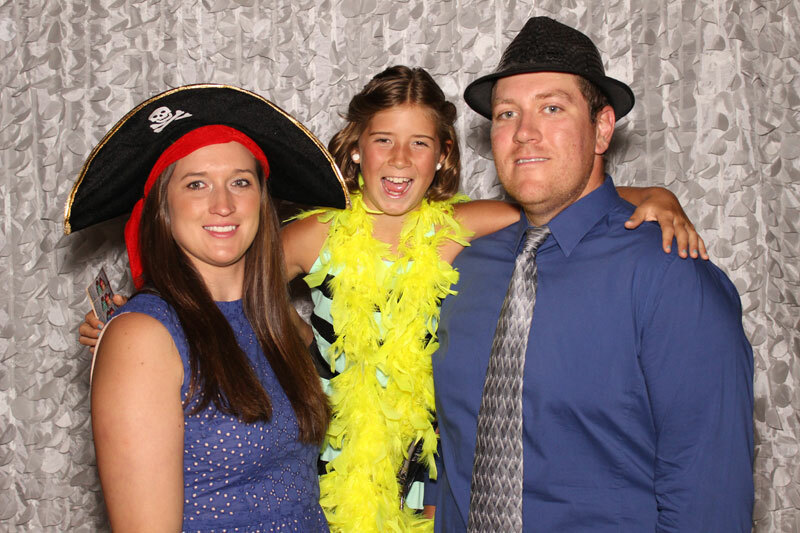 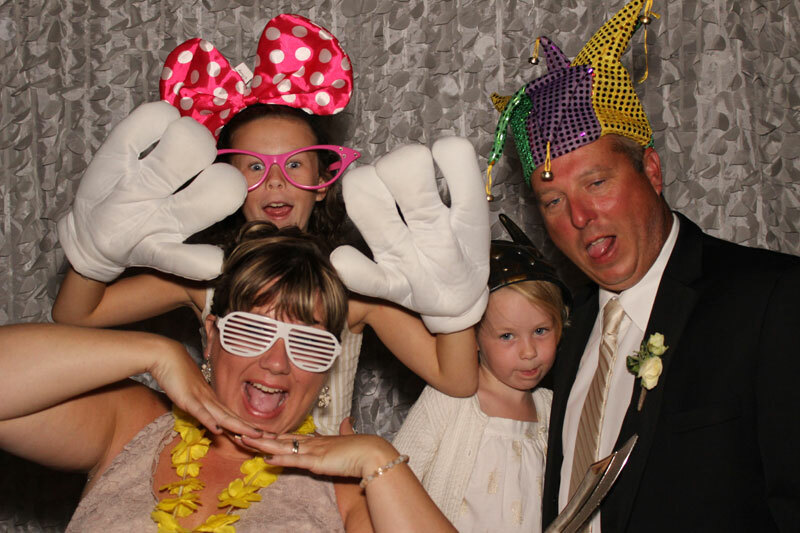 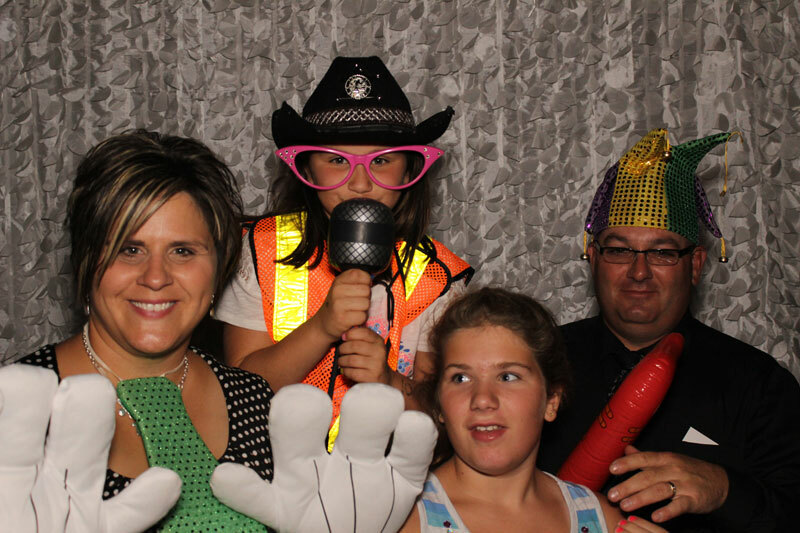 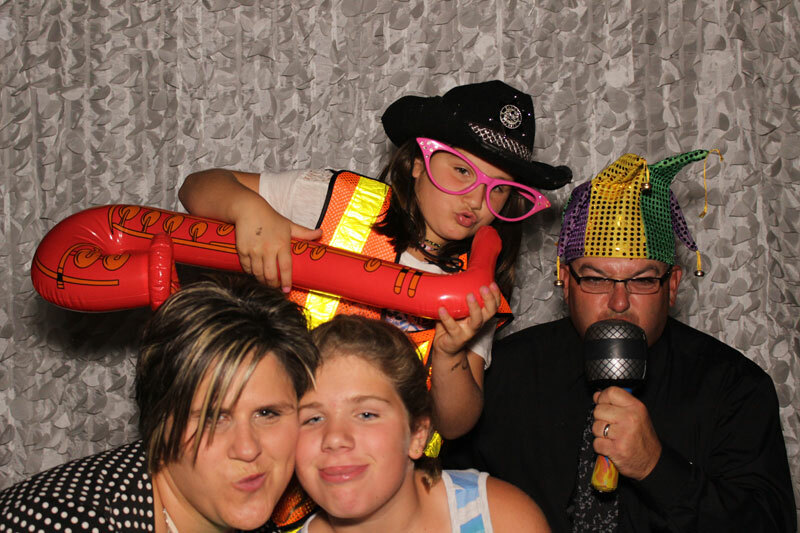 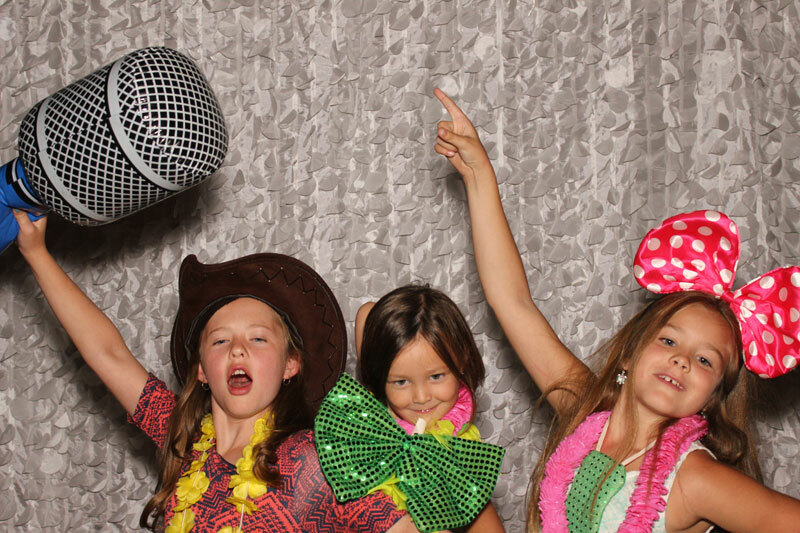 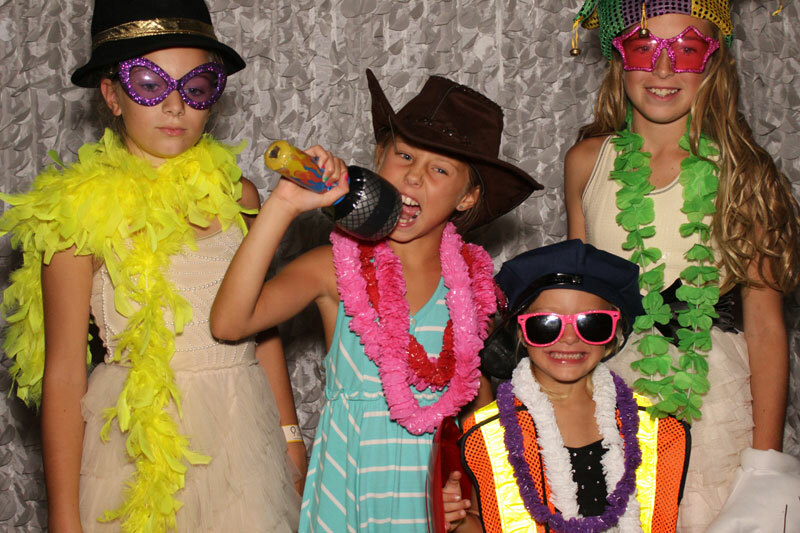 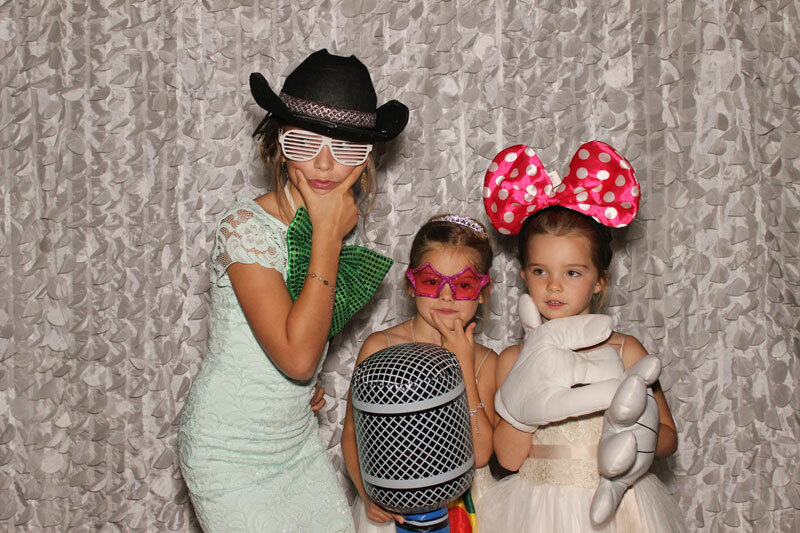 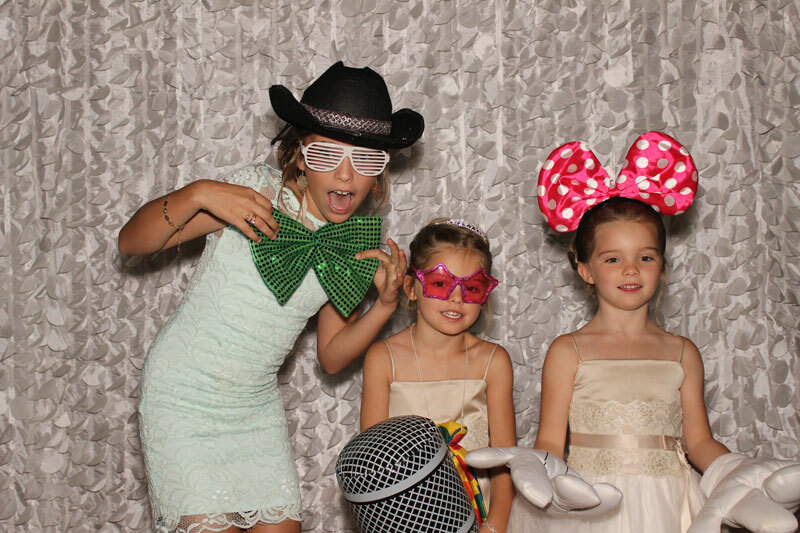 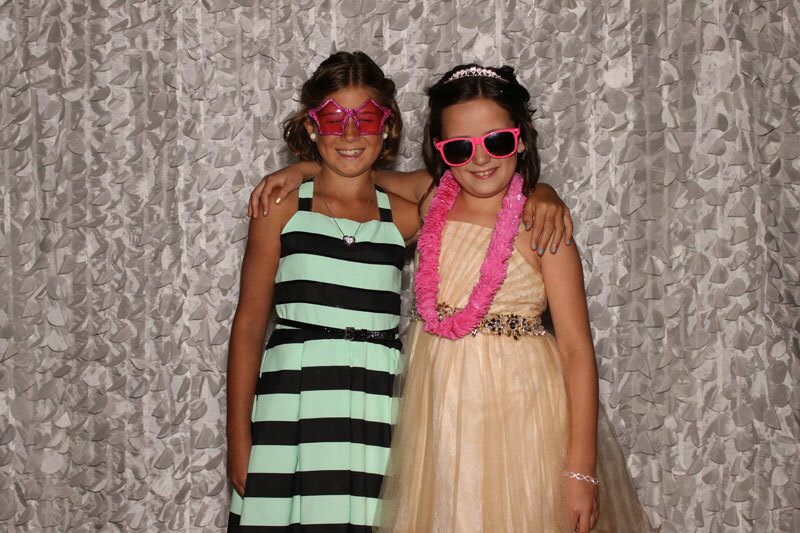 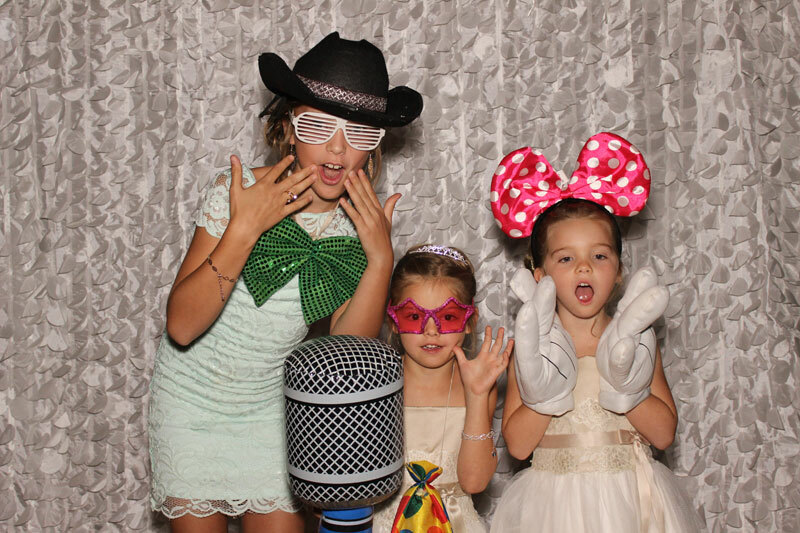 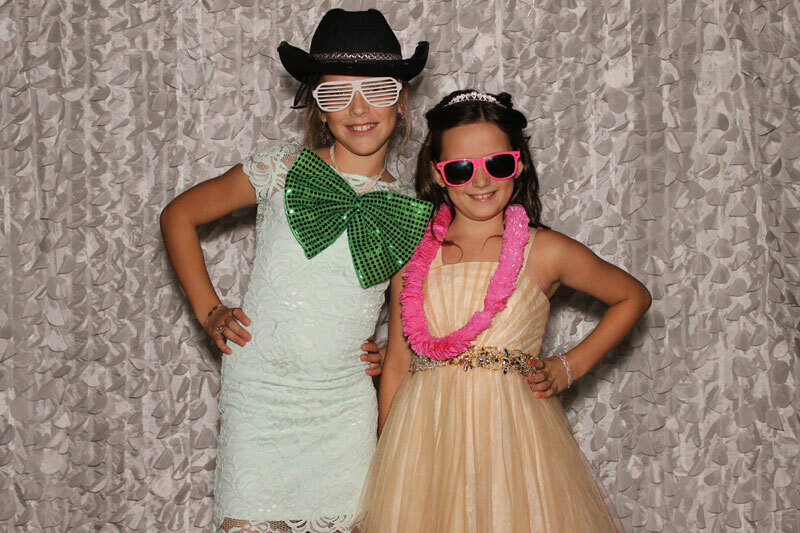 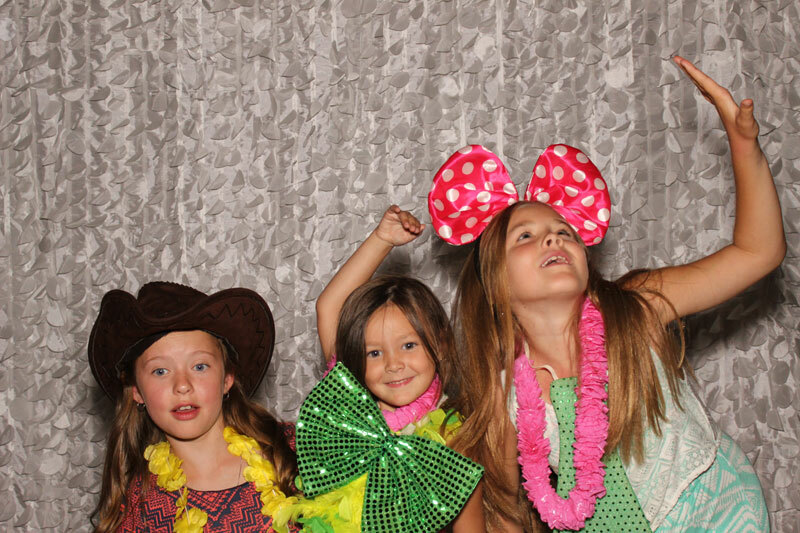 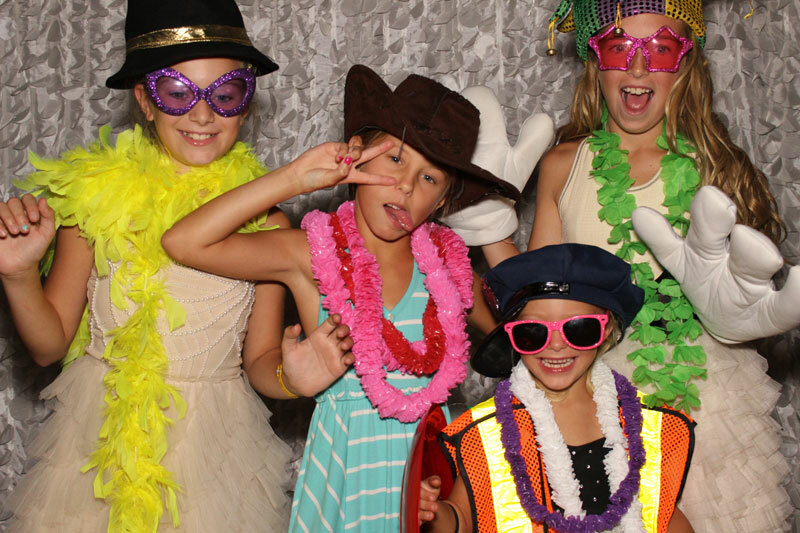 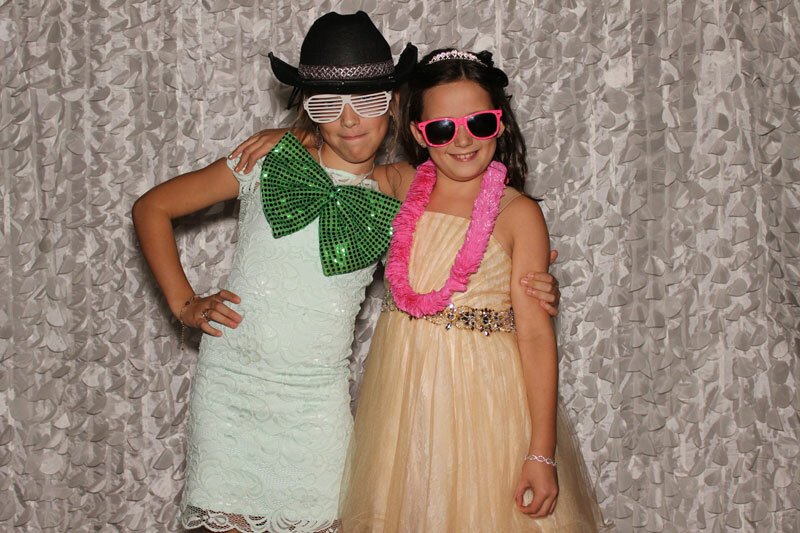 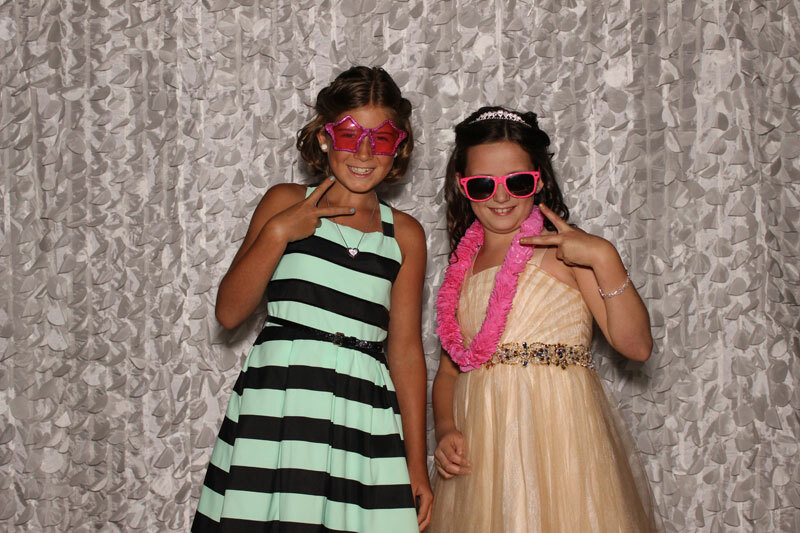 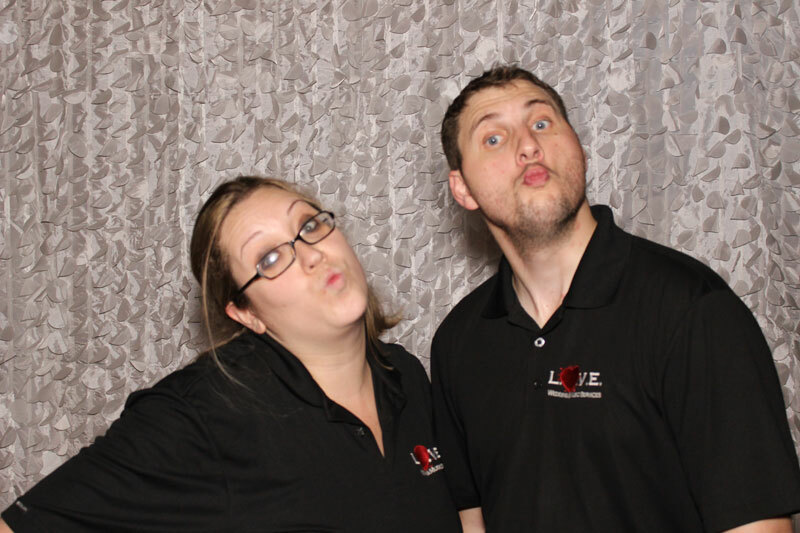 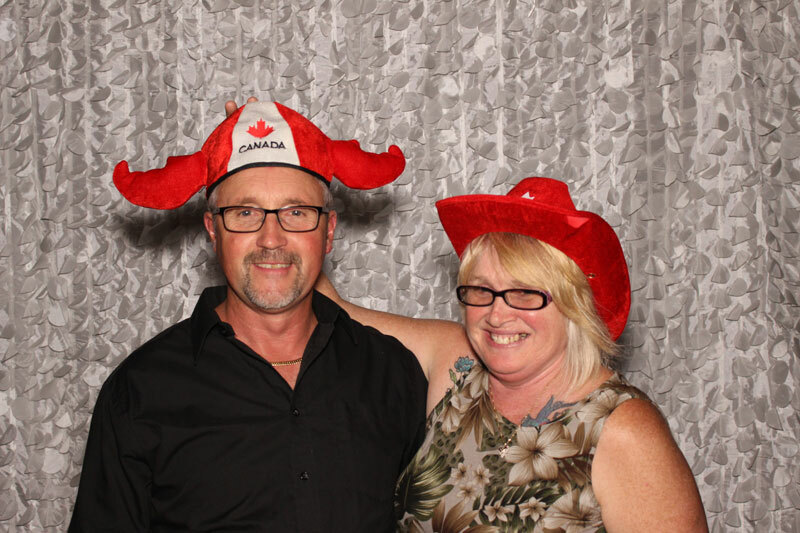 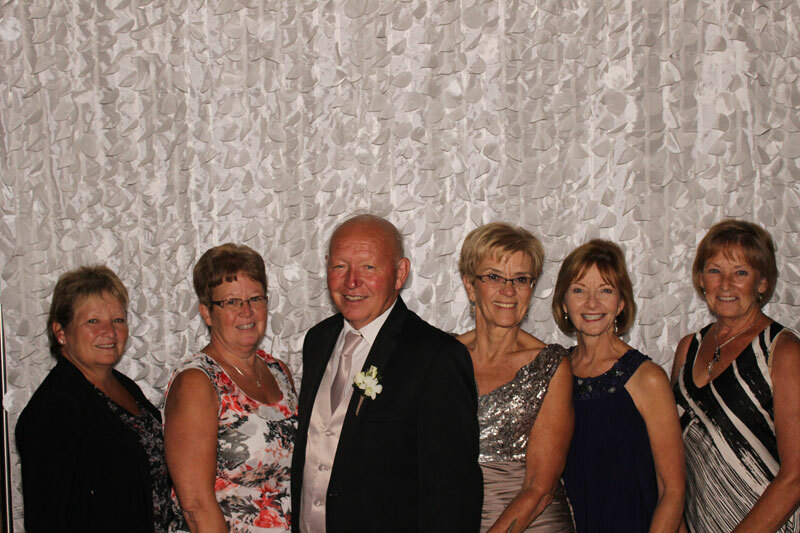 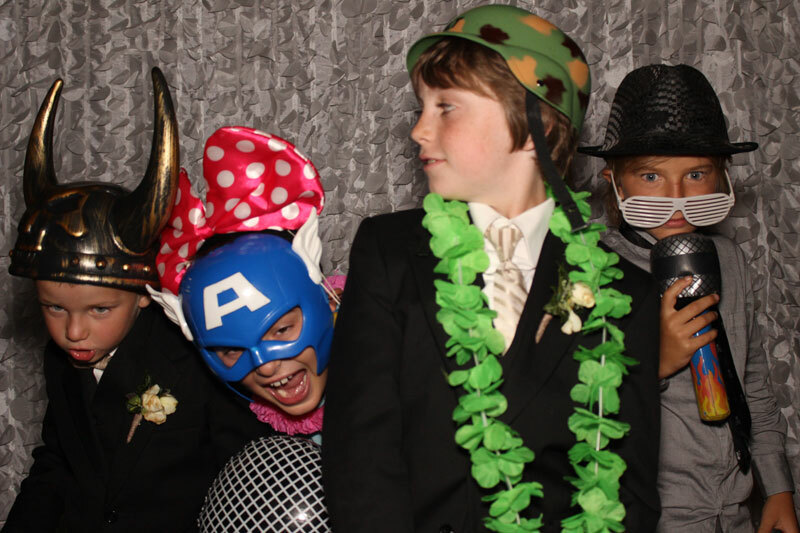 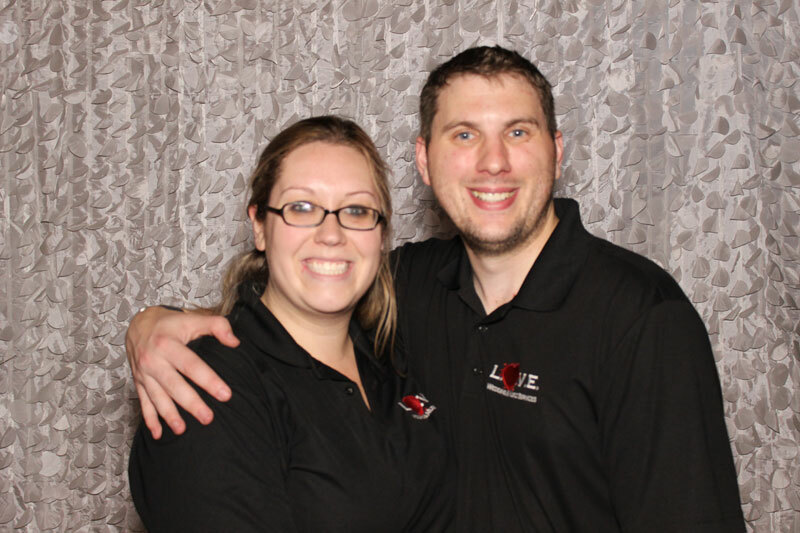 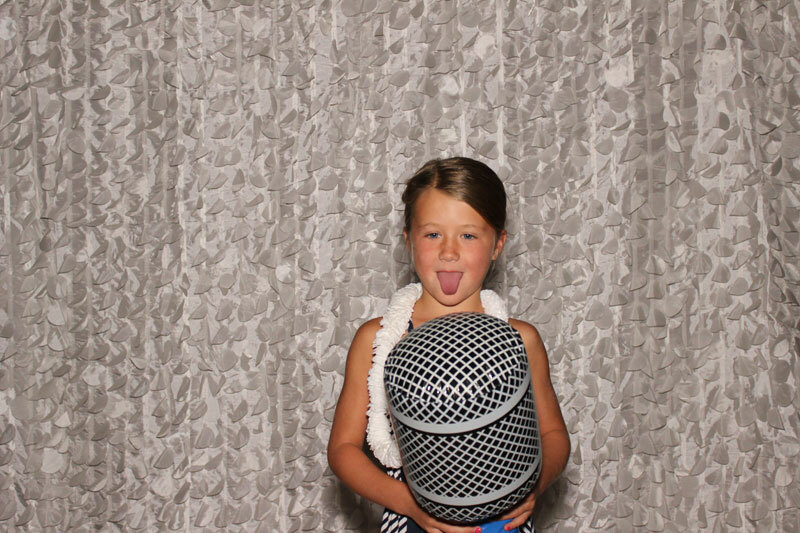 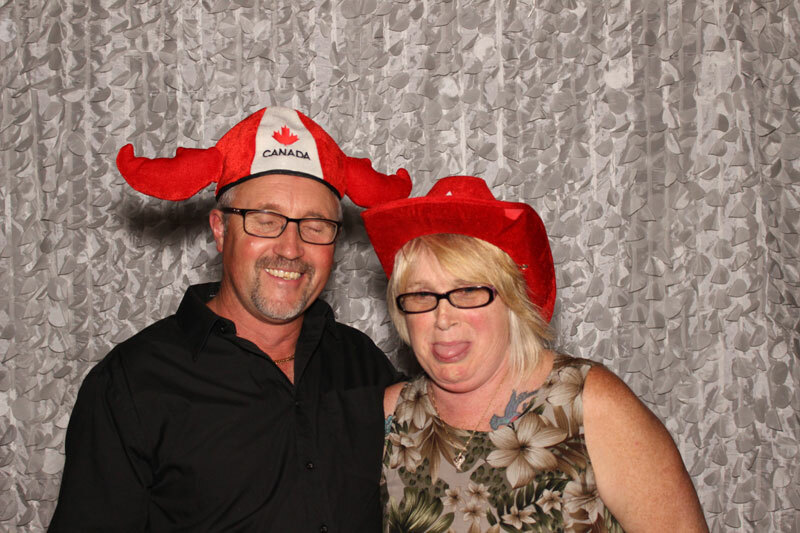 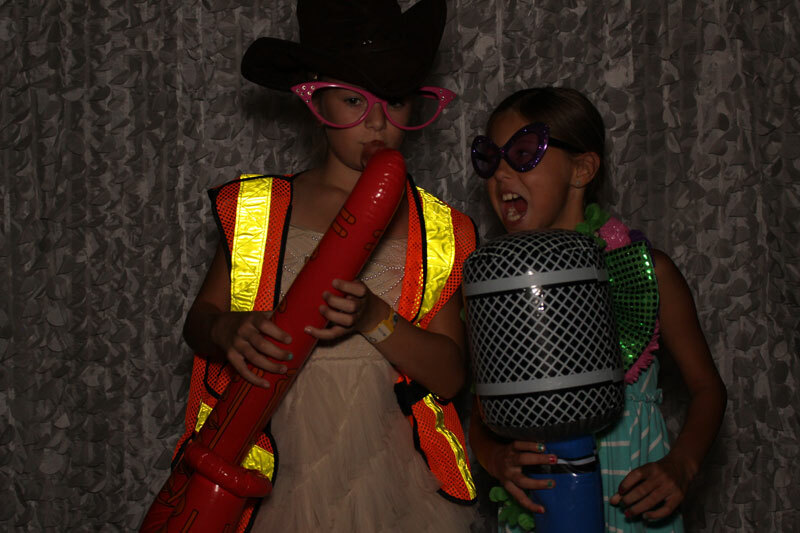 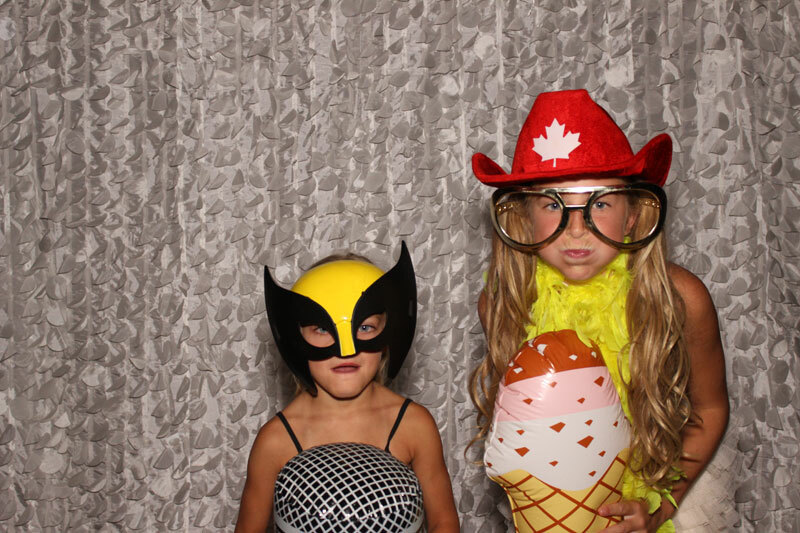 Take your party up a notch from excellent to amazing with a Photo Booth from Canada’s leading wedding and event entertainment company, L.O.V.E. 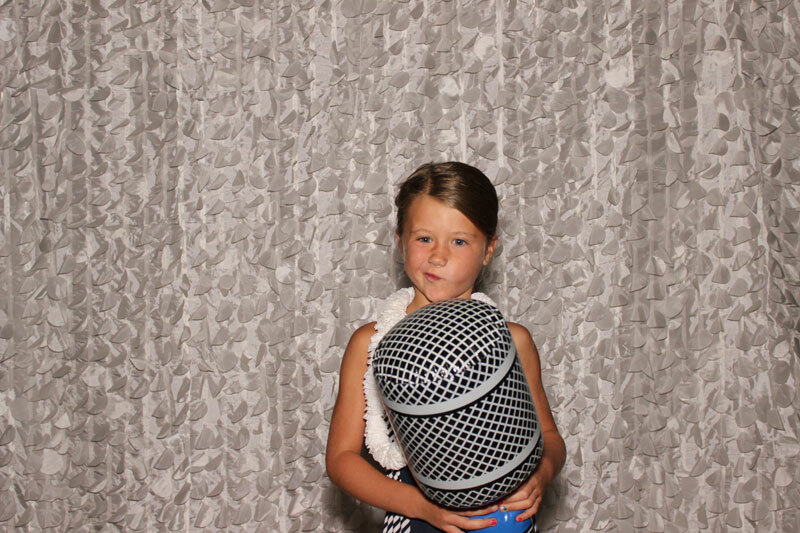 Wedding & Music Services. 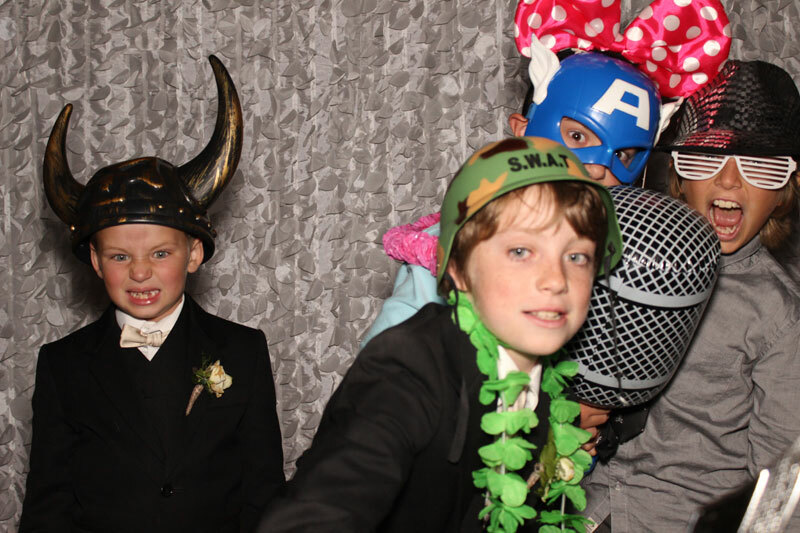 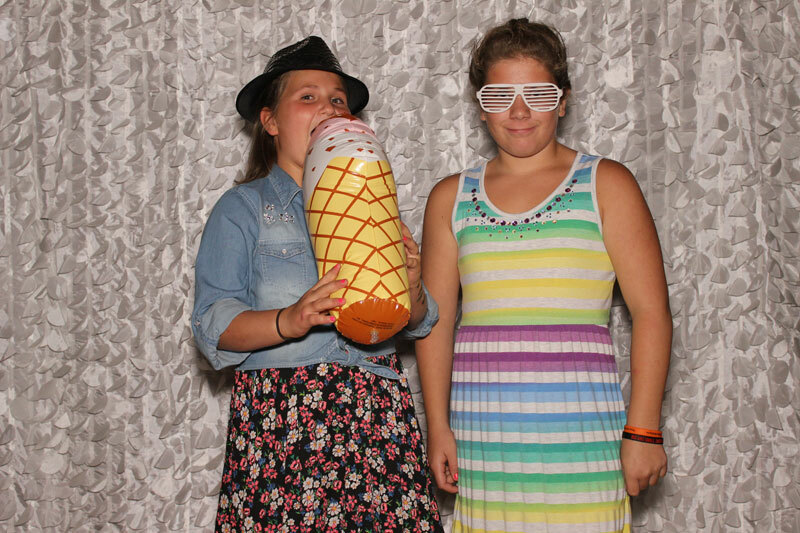 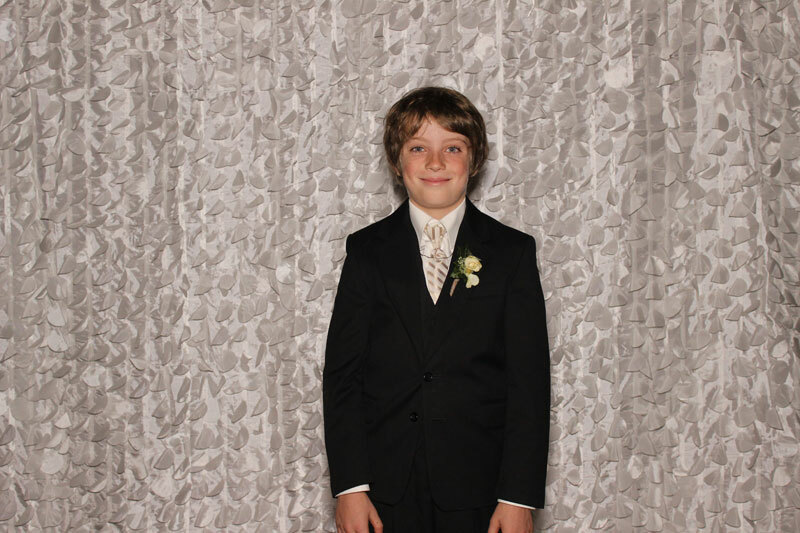 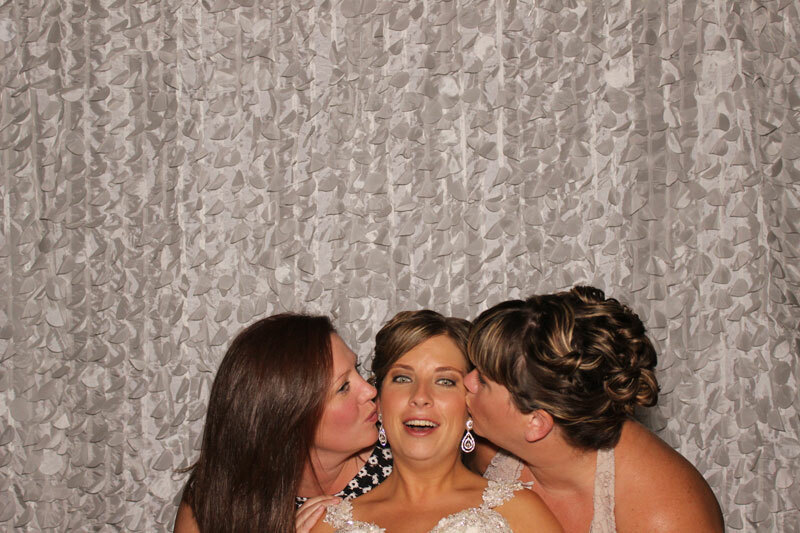 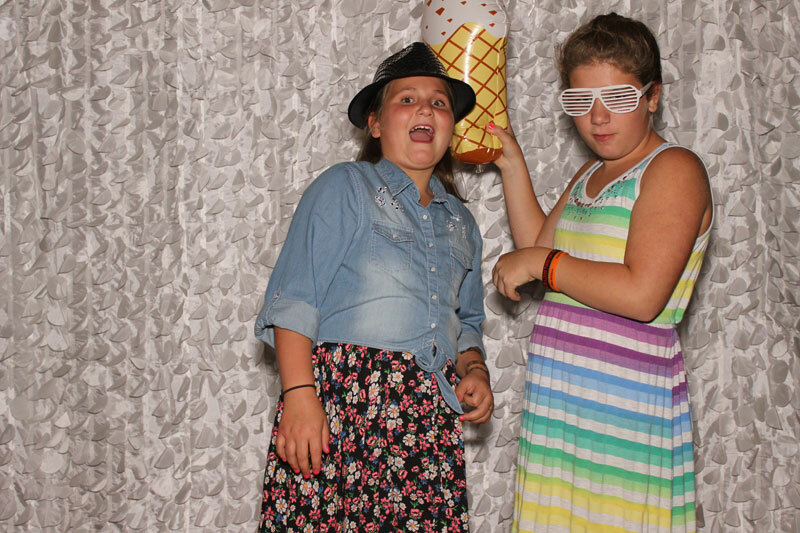 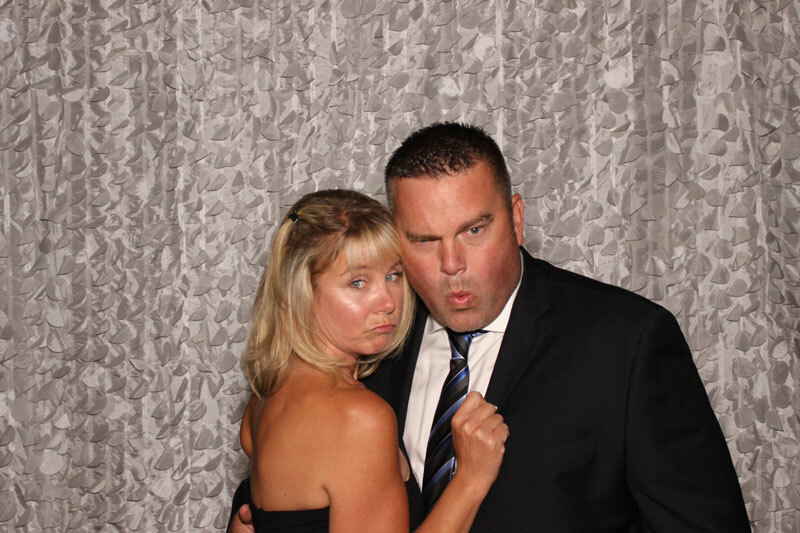 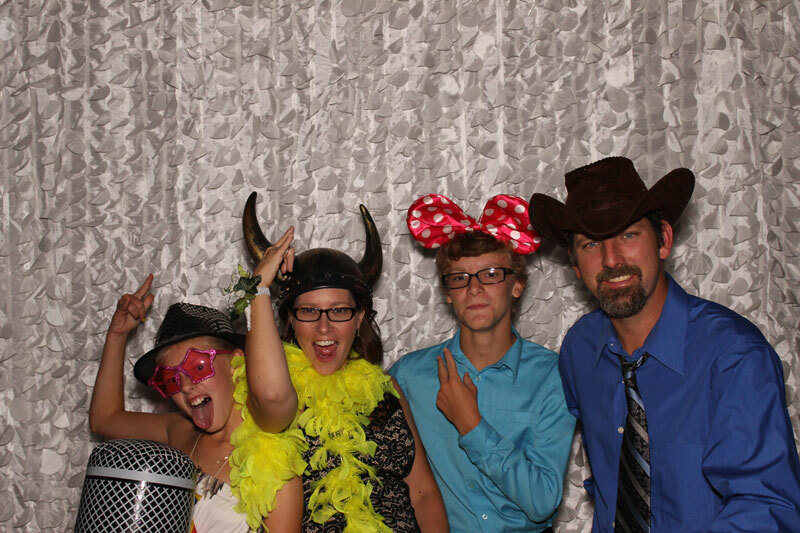 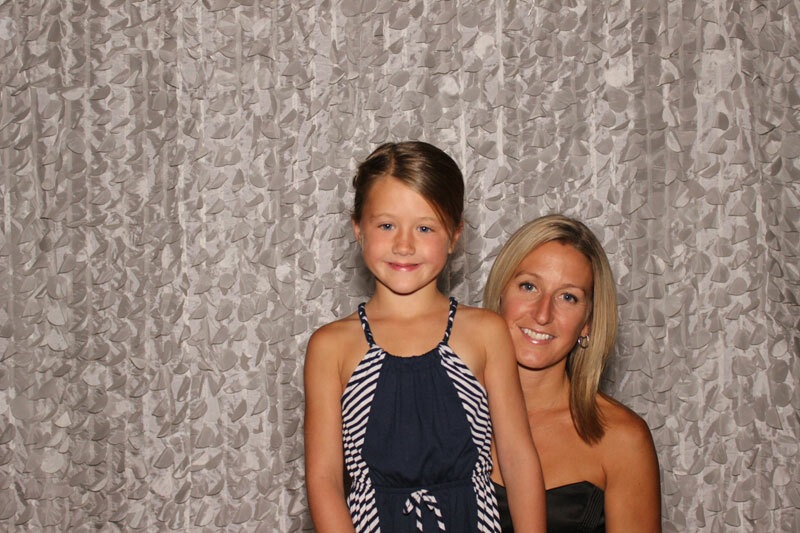 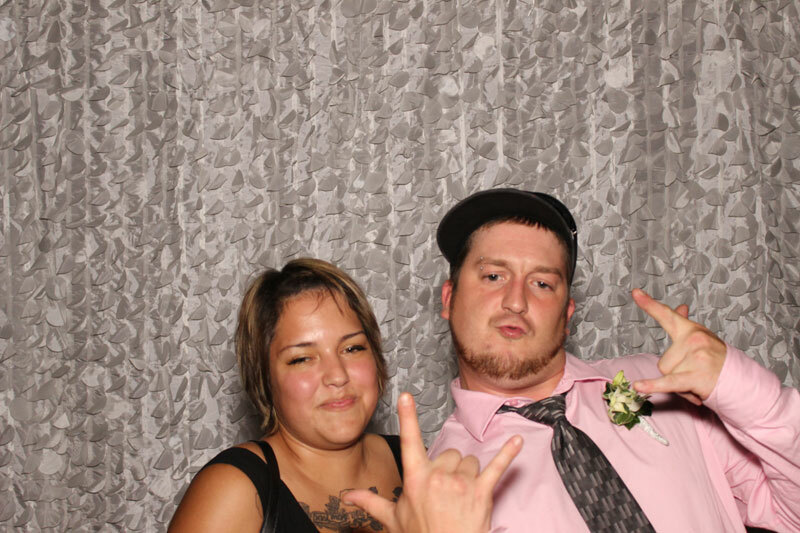 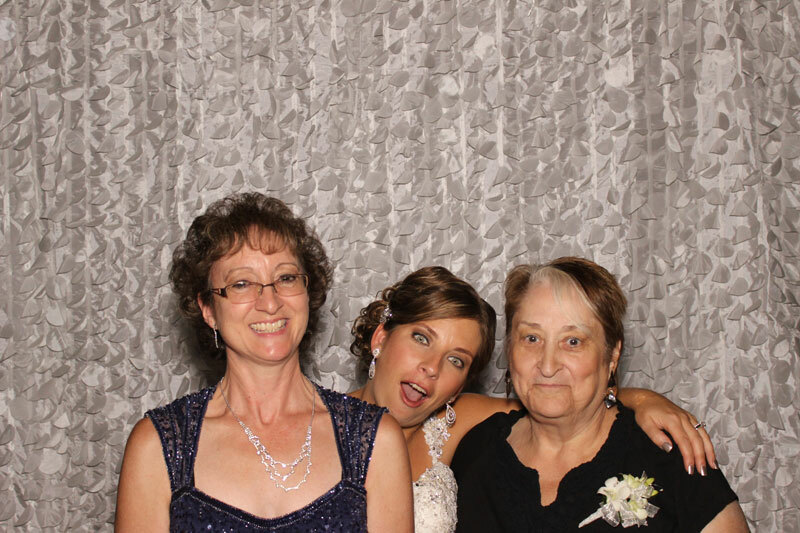 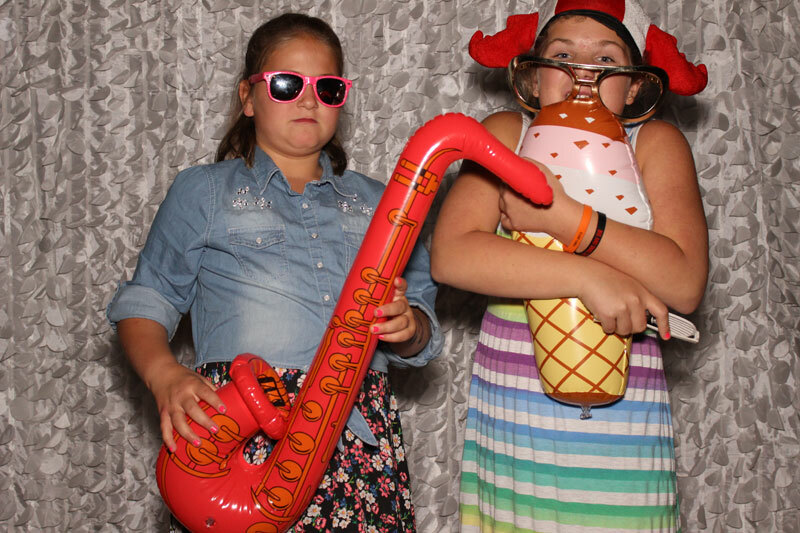 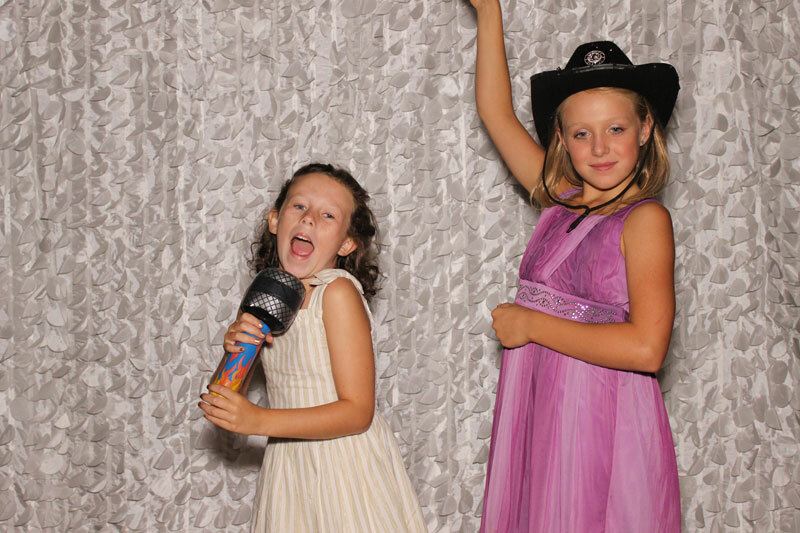 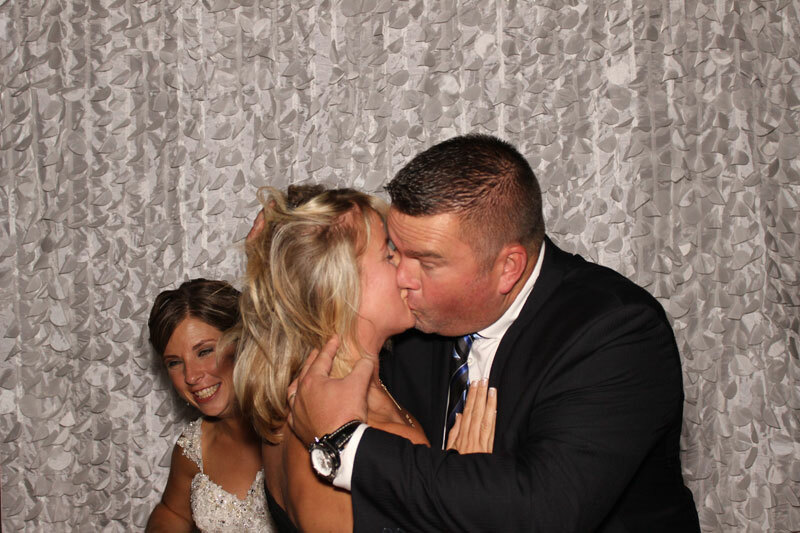 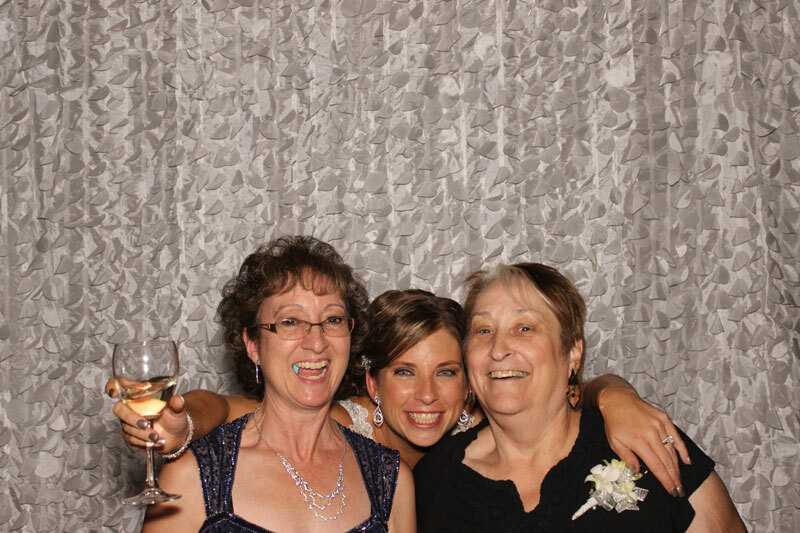 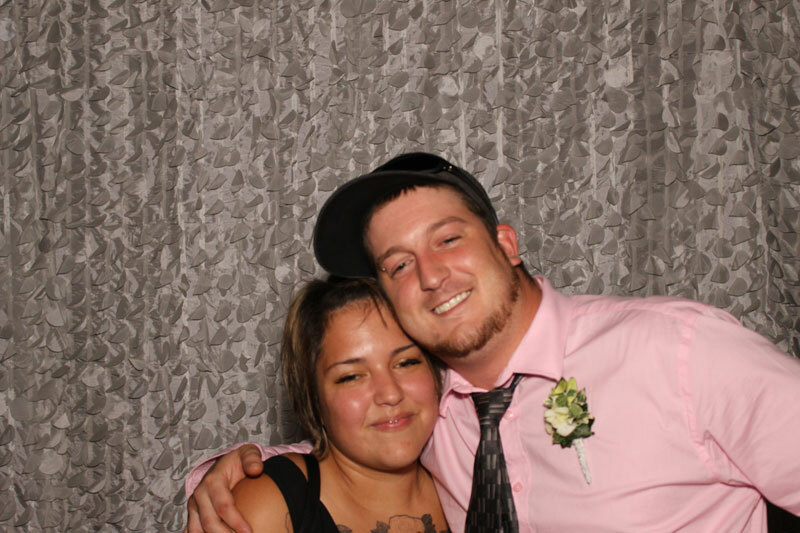 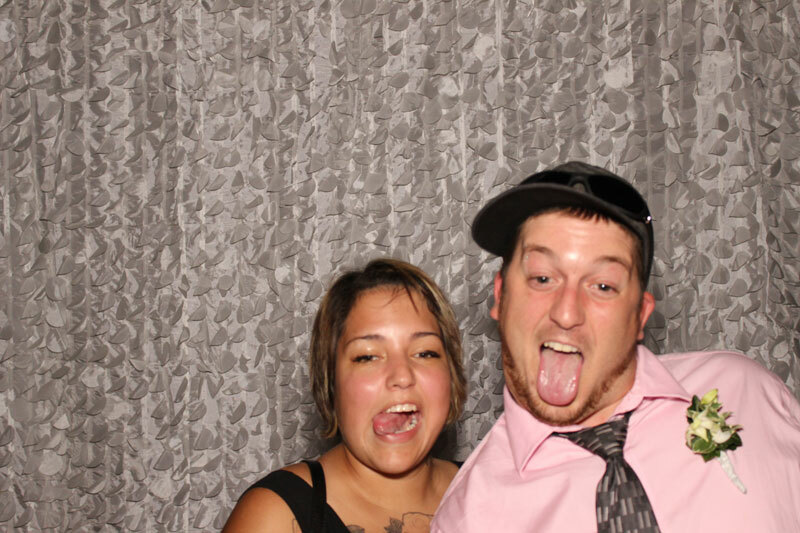 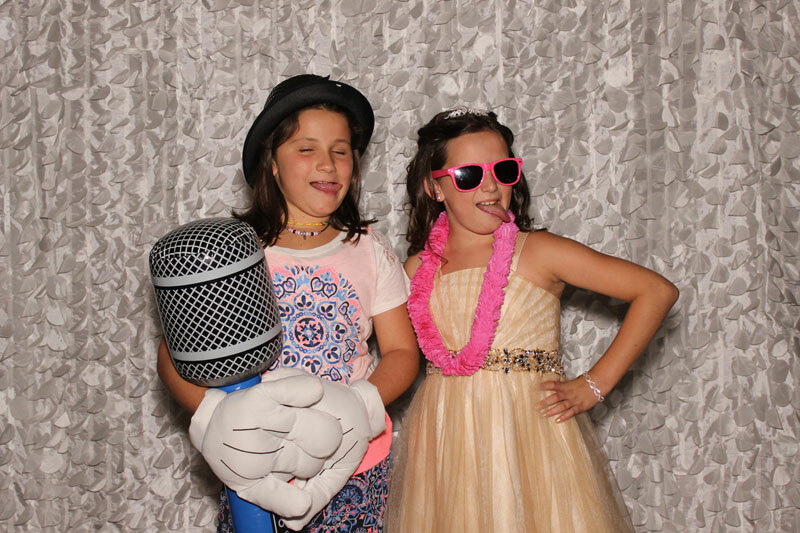 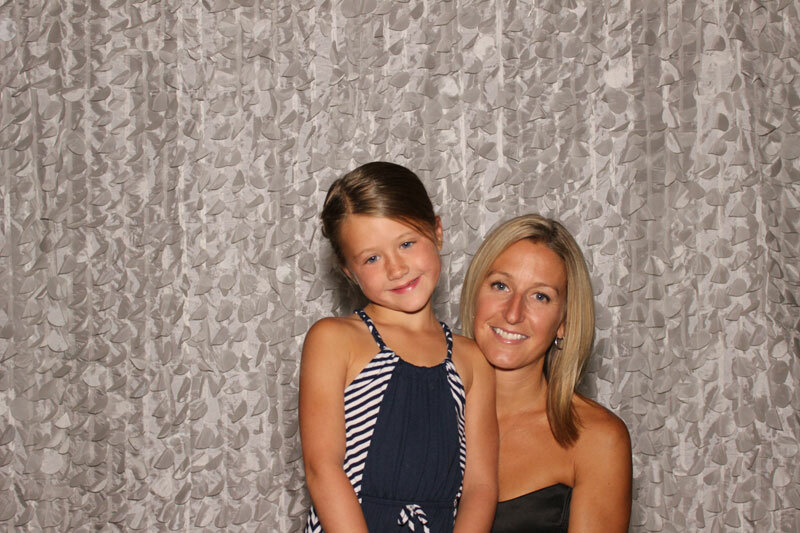 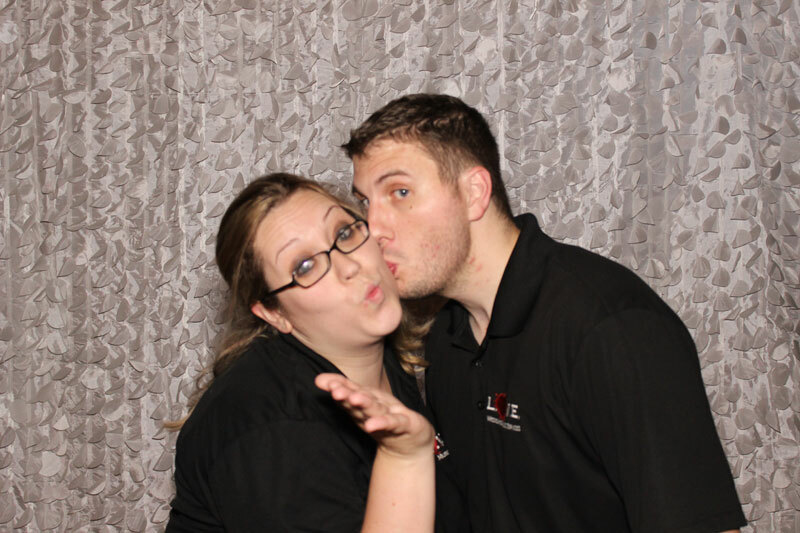 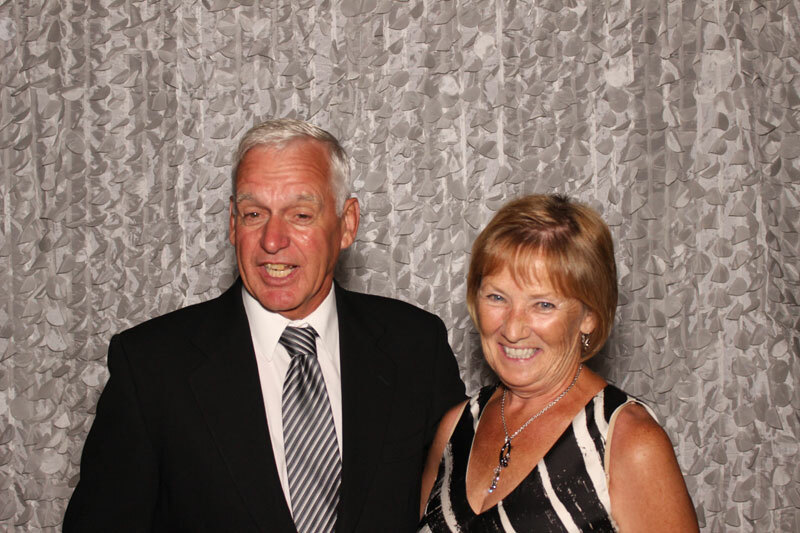 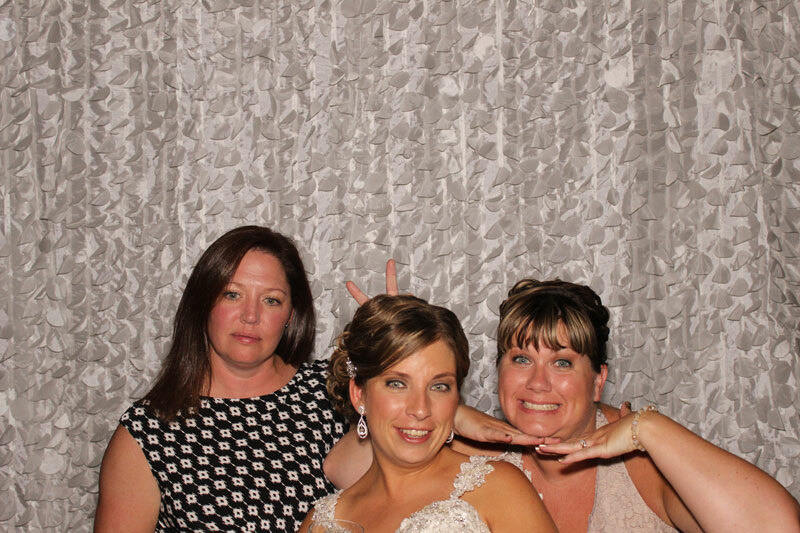 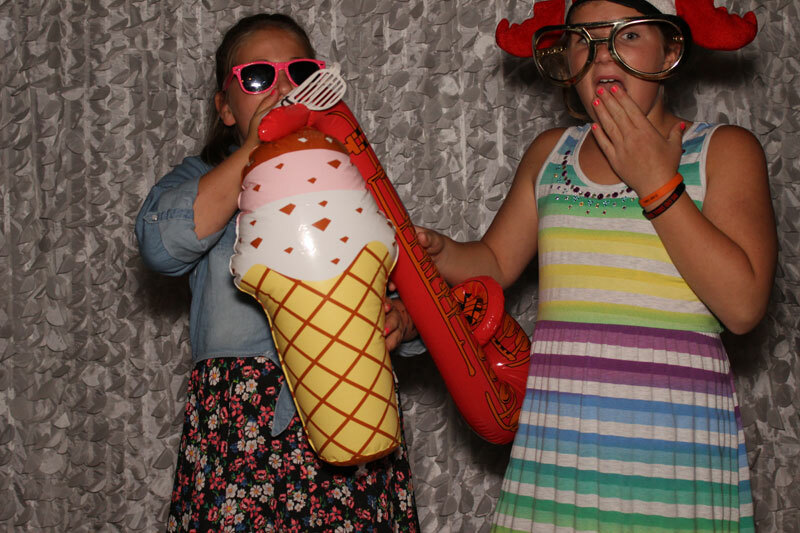 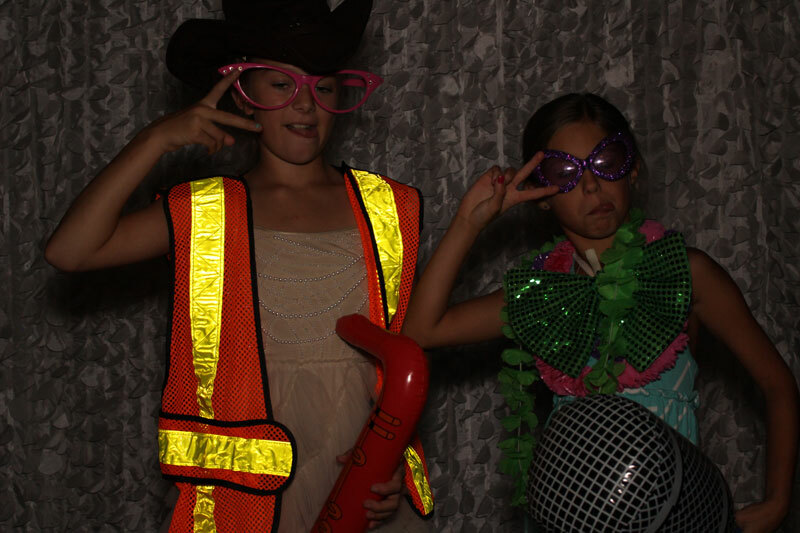 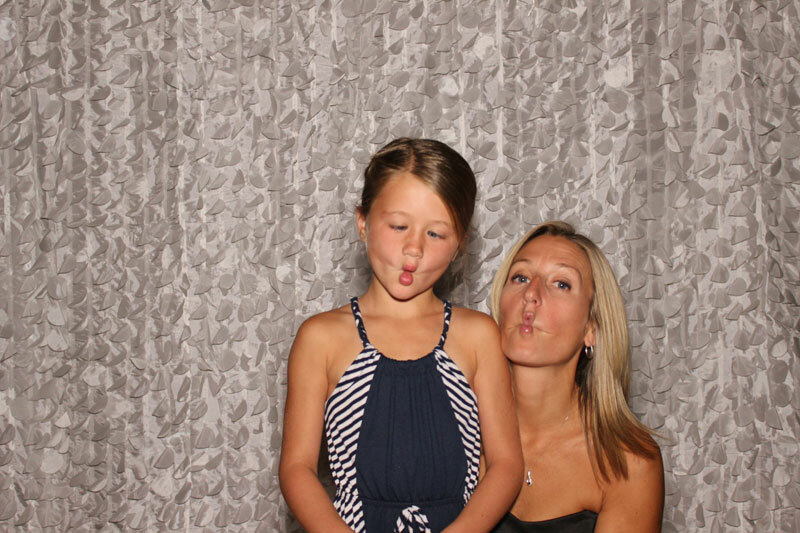 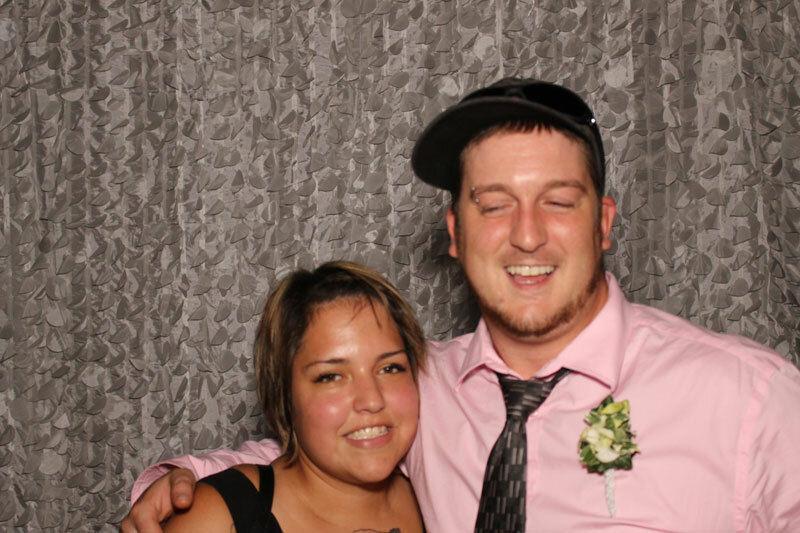 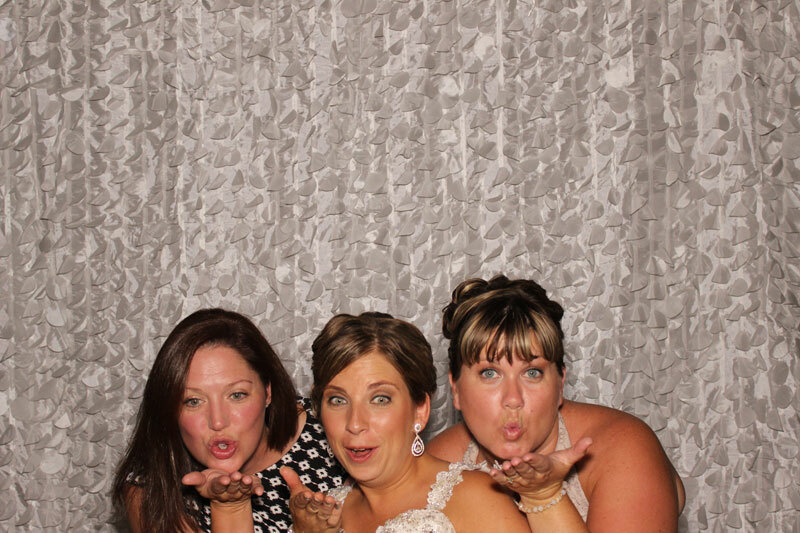 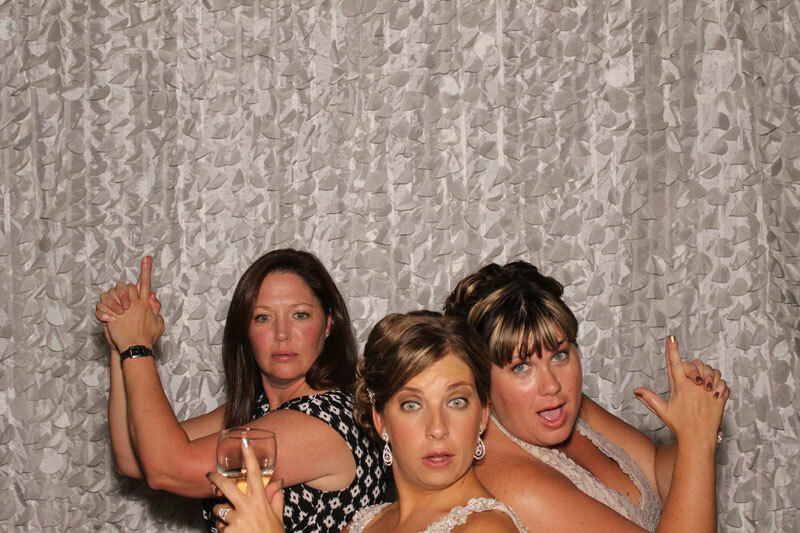 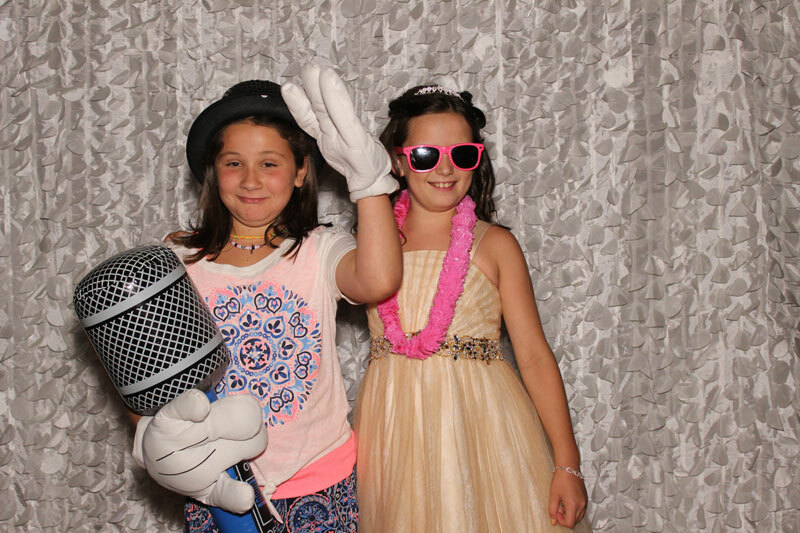 Our cutting-edge, high-demand Photo Booths are where it’s at to give your guests an experience they won’t soon forget. 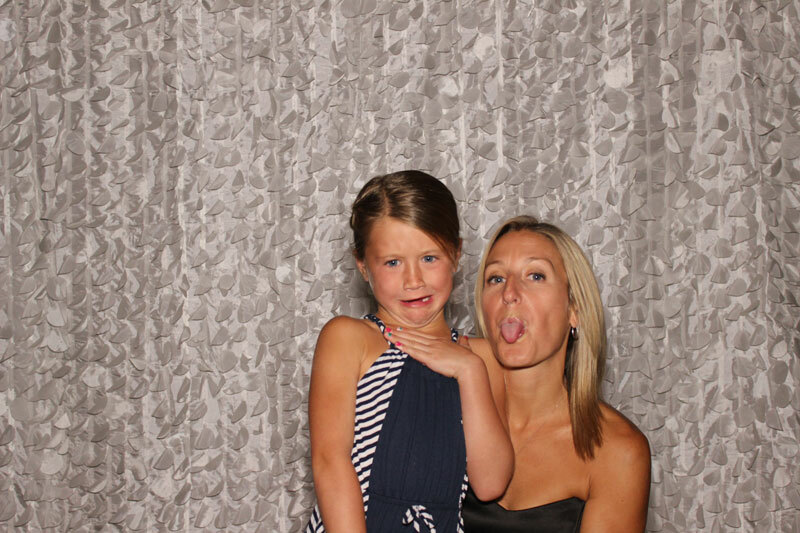 Who doesn’t like to pose for the camera? 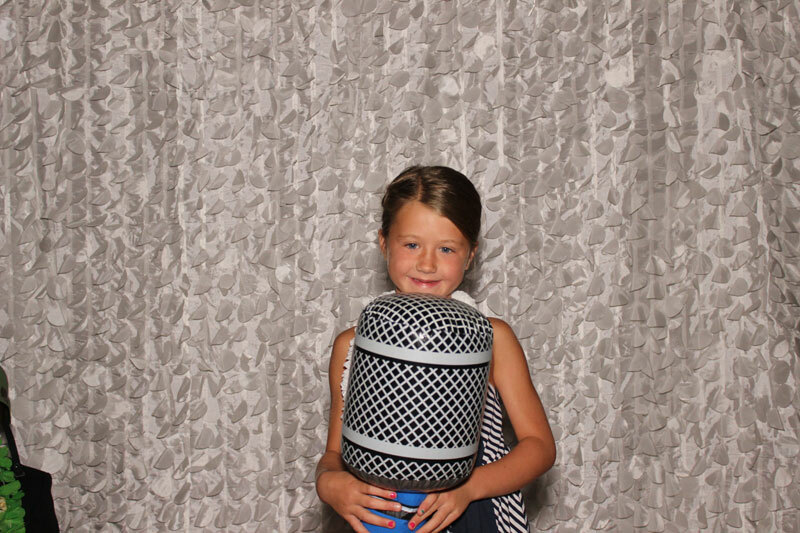 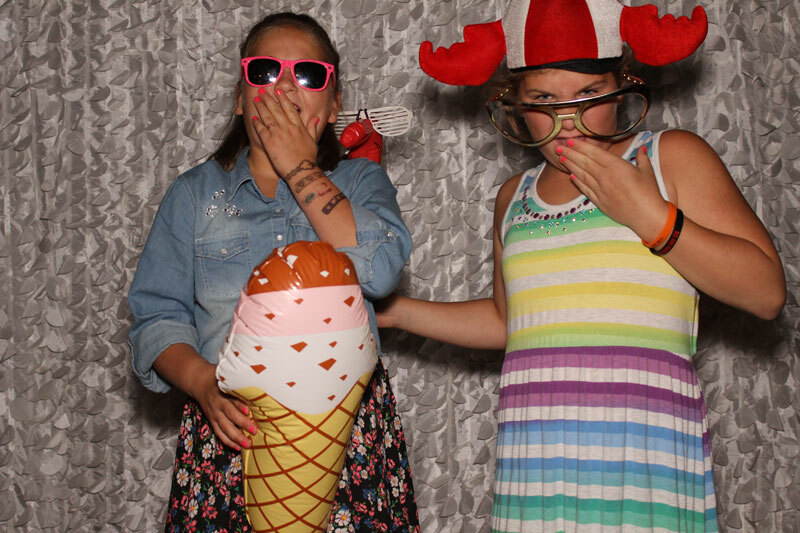 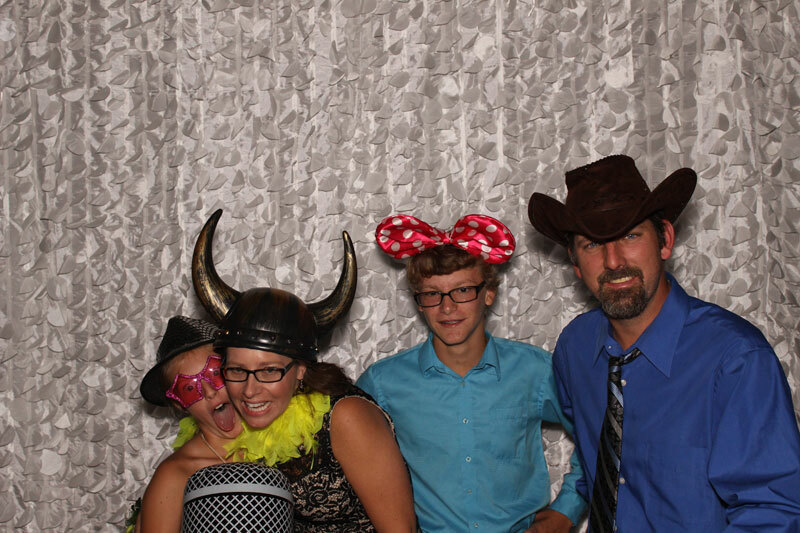 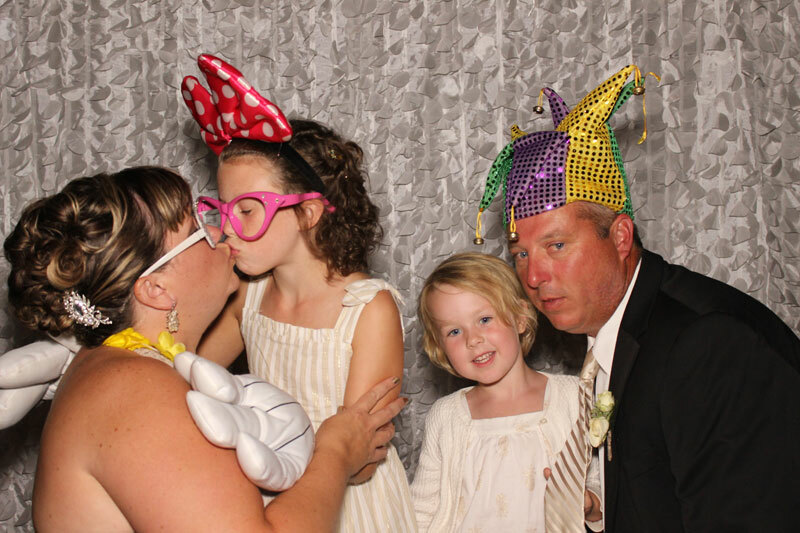 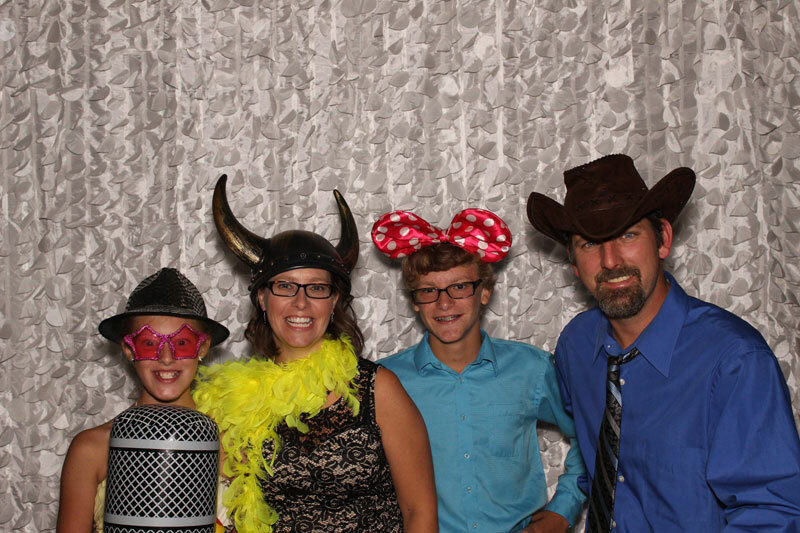 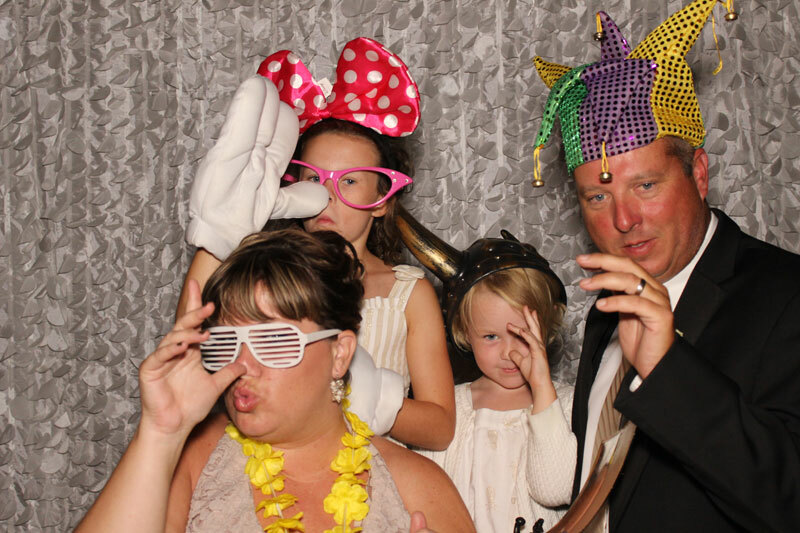 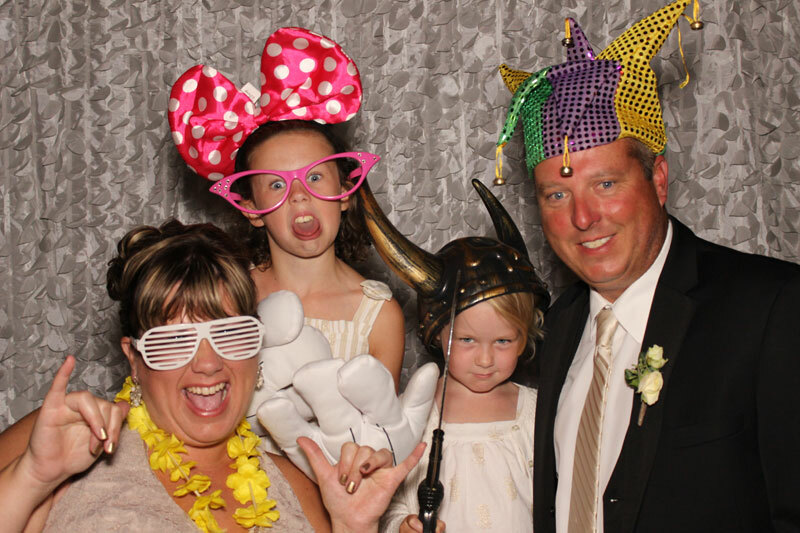 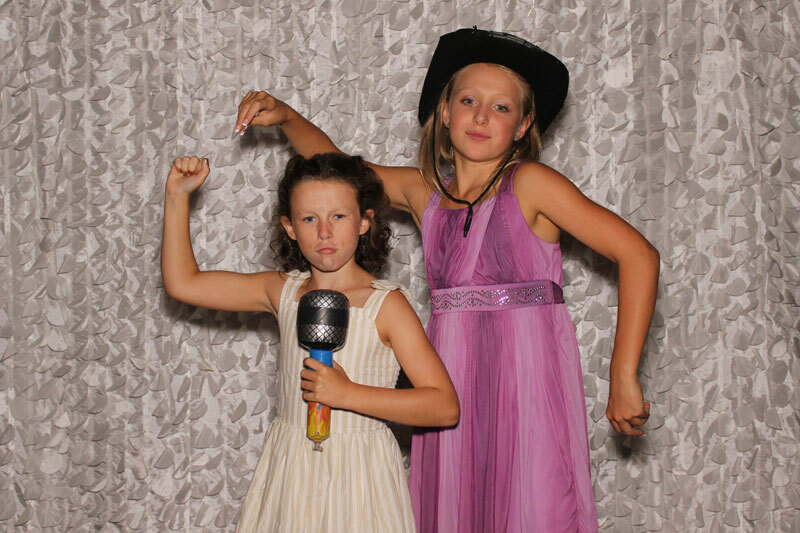 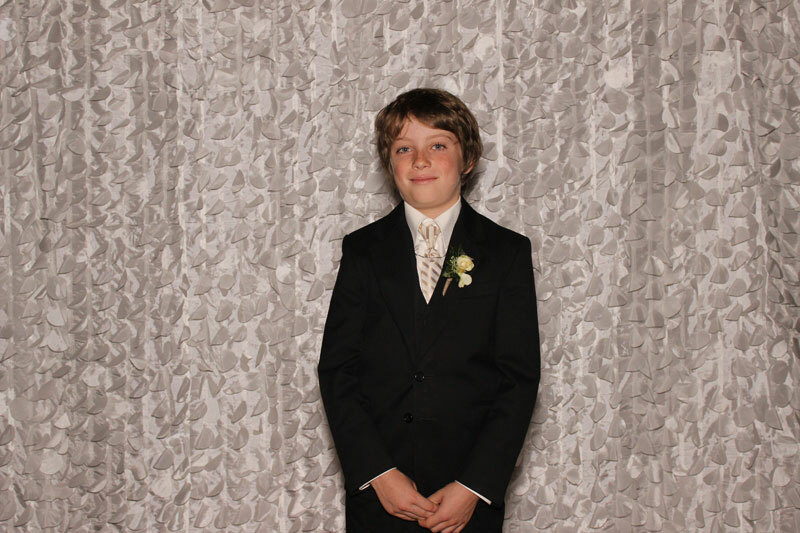 Titillate your guests with the option of props or dressing up for their Photo Booth picture. 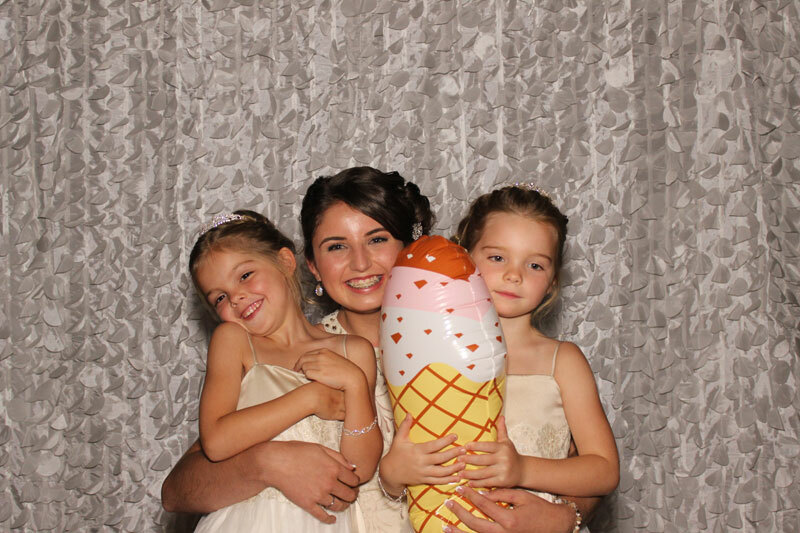 Then sit back and enjoy their delight. 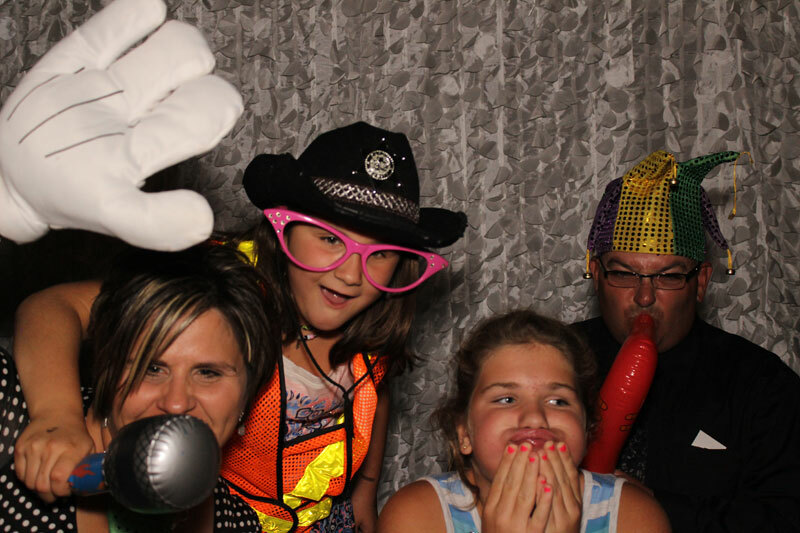 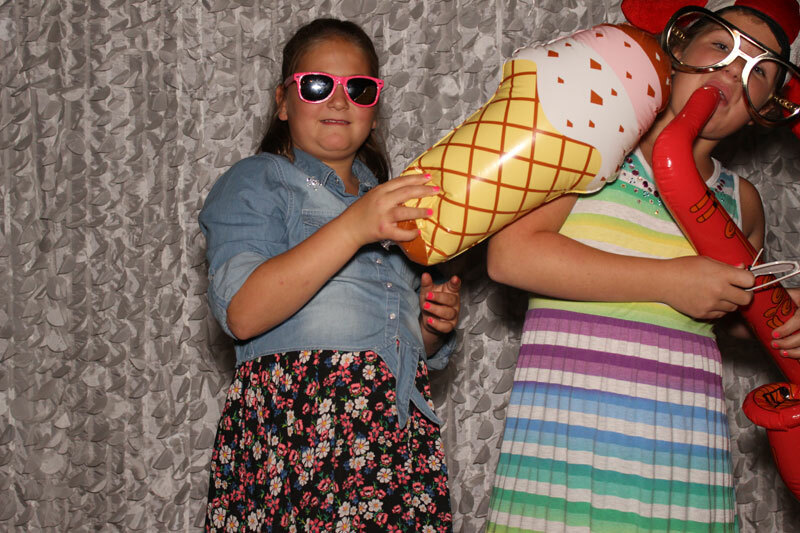 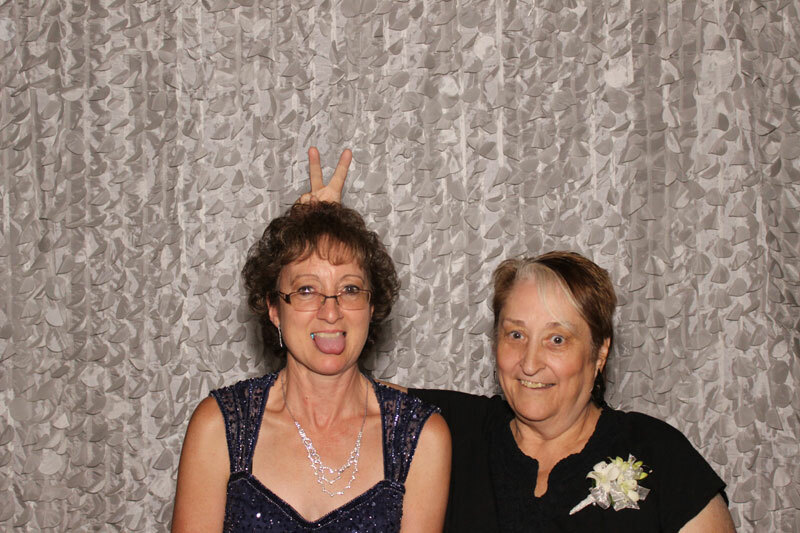 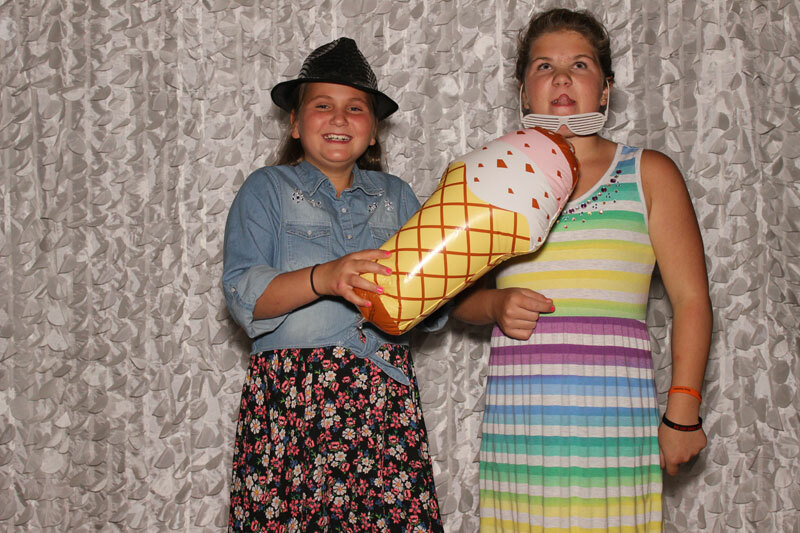 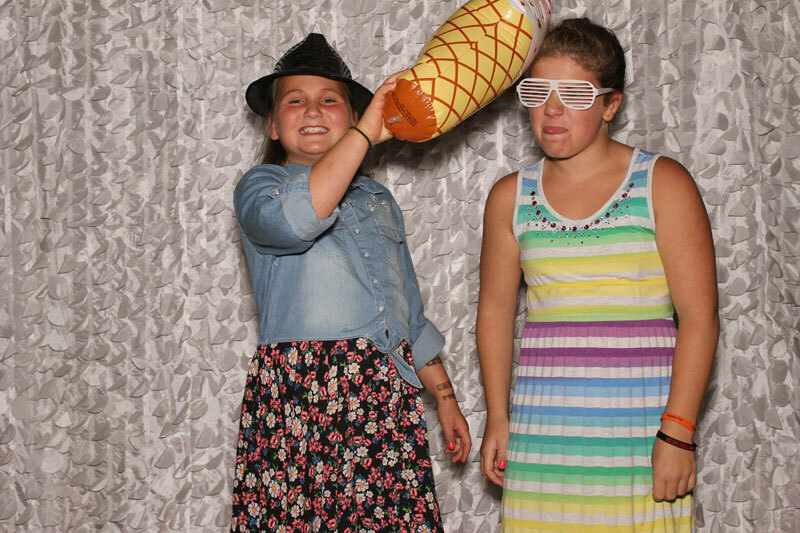 When you add a Photo Booth to your party, you get a full-time attendant to run this attraction. 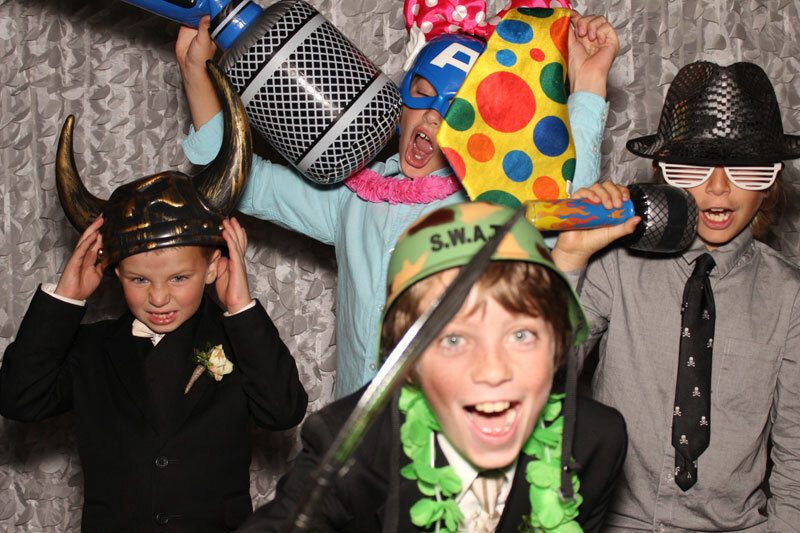 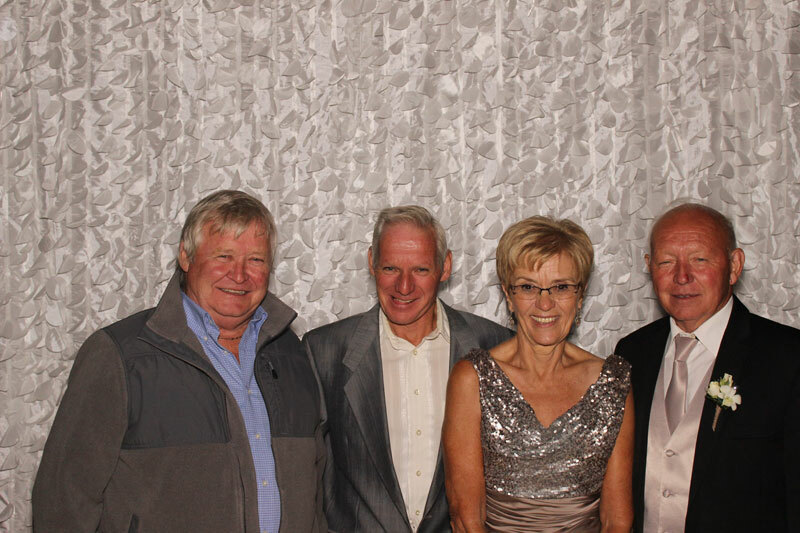 All you need to do is enjoy the party and watch your guests have the time of their lives. 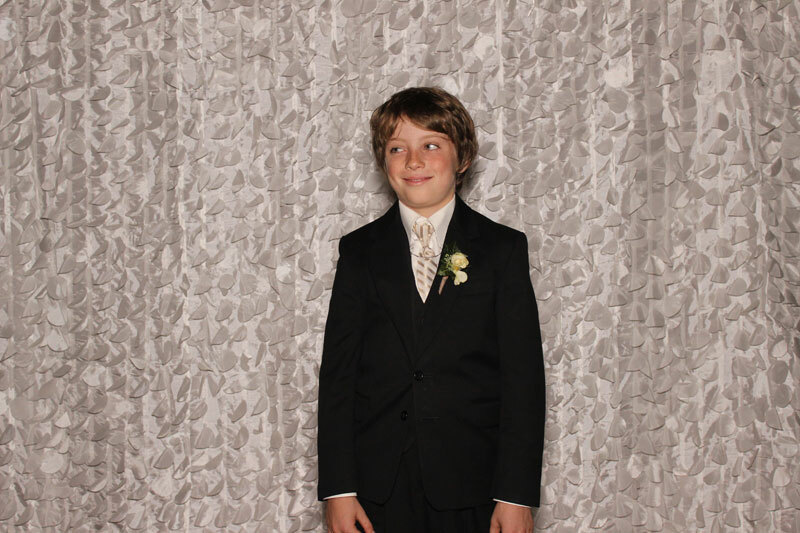 A full-time attendant, dressed for the occasion will assist you. 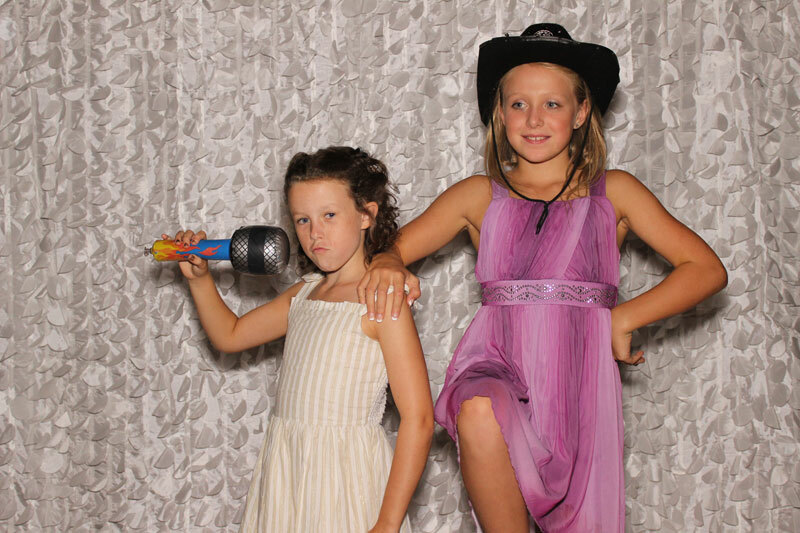 We use a high definition Professional DSLR Camera and Photo Printer. 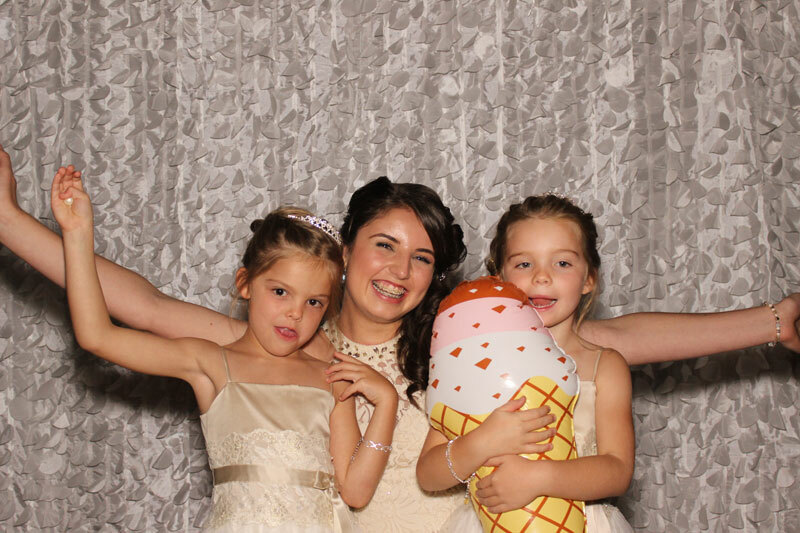 Unlimited photos for you and your guests, which are printed right on site. 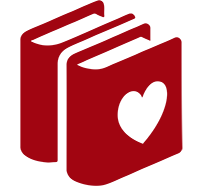 No charge set up and tear down. 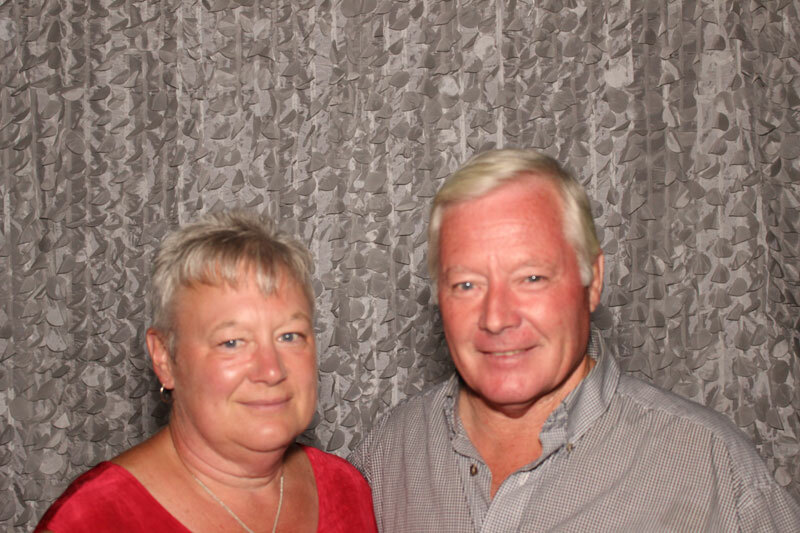 No travel charge if event is in London, Ontario. 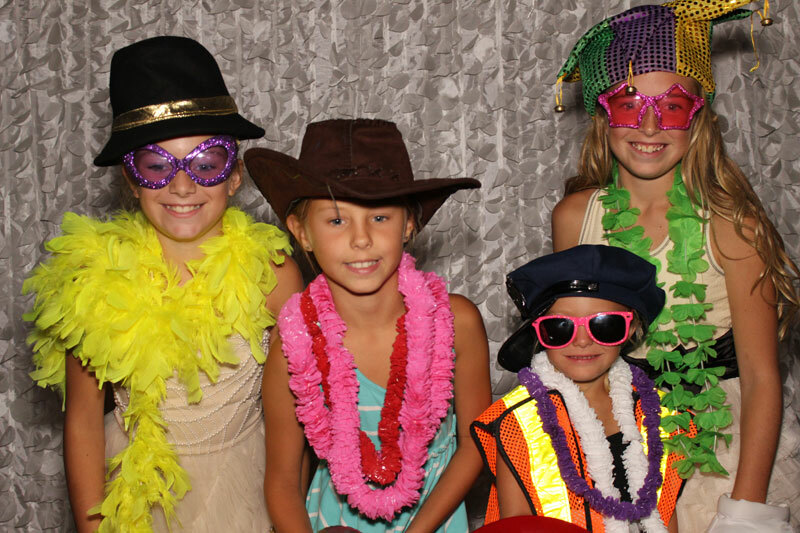 Chest full of hats, glasses, boas and other great accessories. 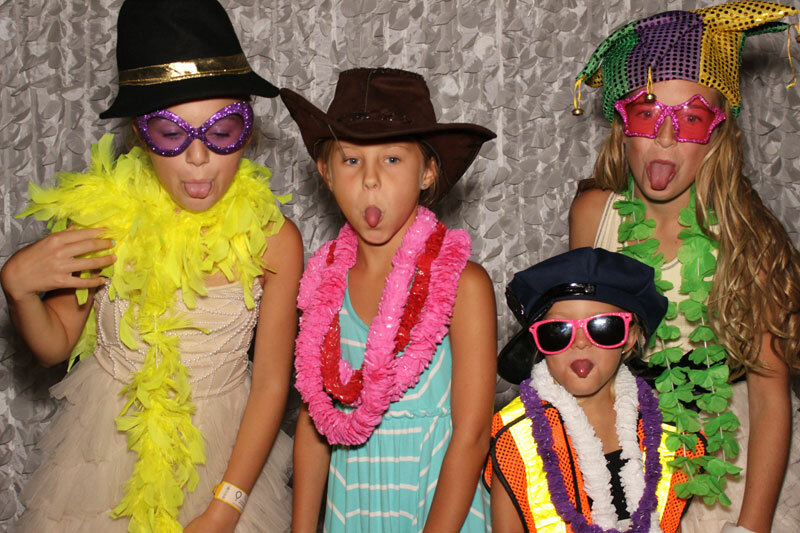 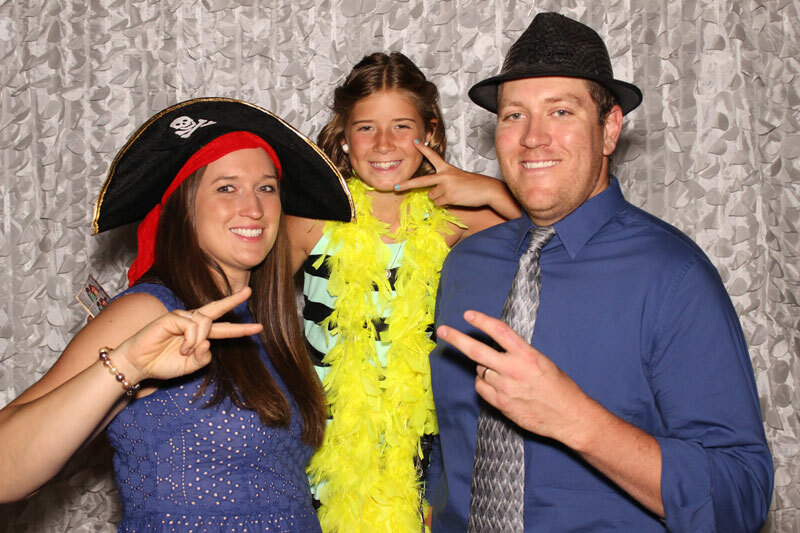 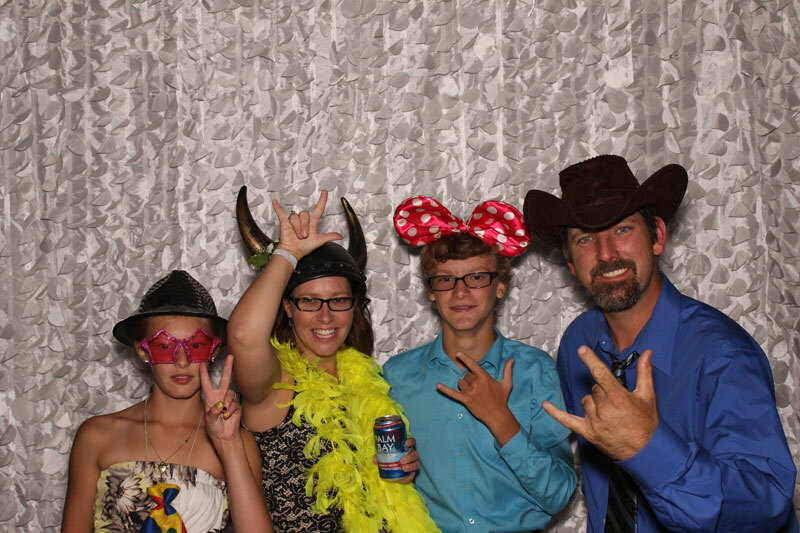 Our open-air style photo booths are perfect for any event looking for something different than the traditional photo booth. 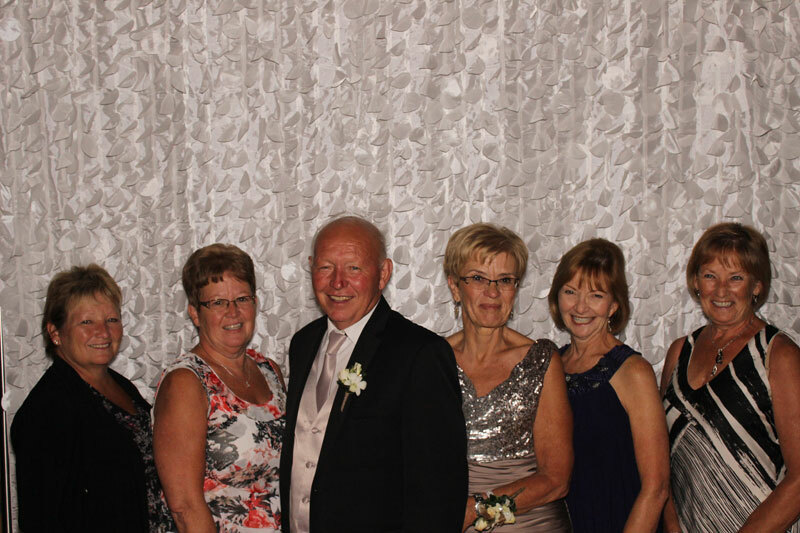 They can fit as many as 8 guests in a completely open space. 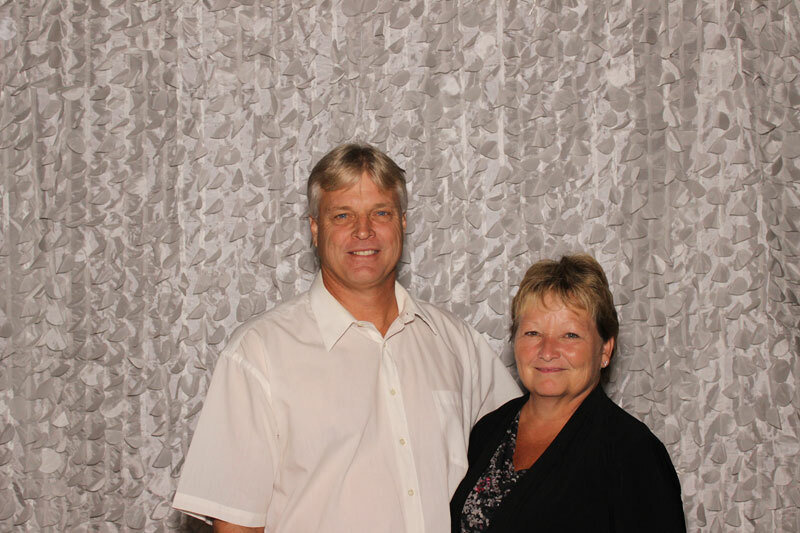 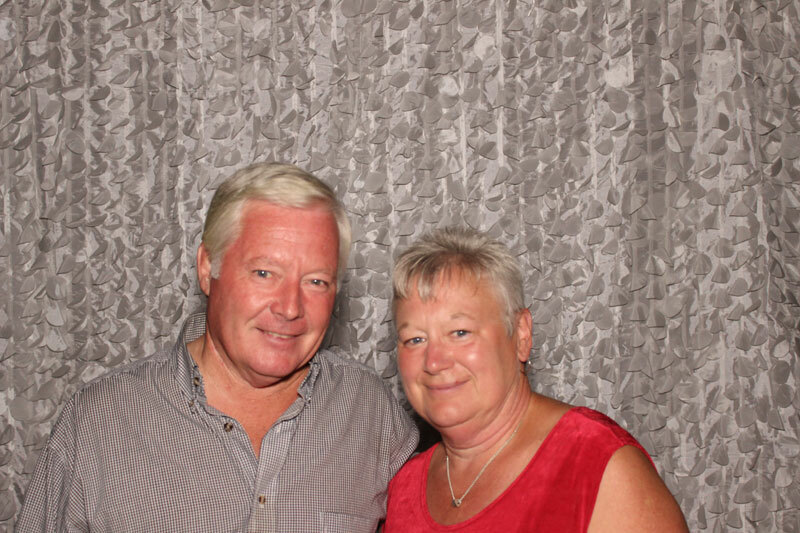 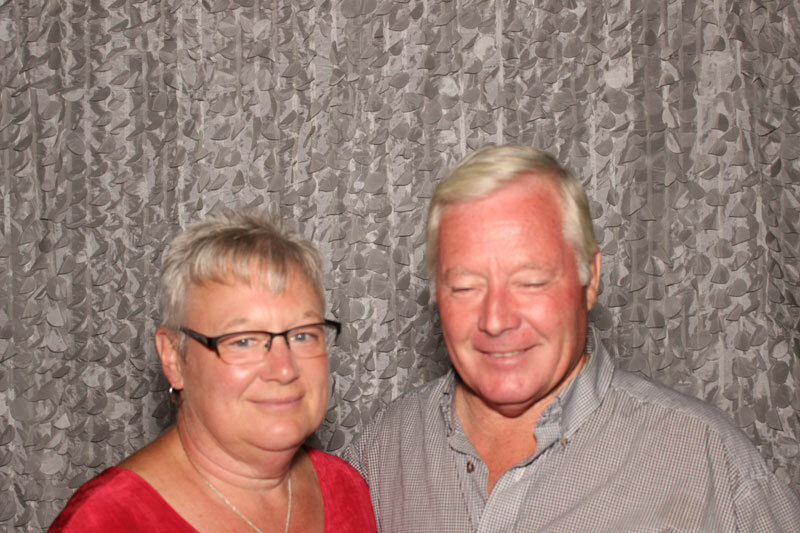 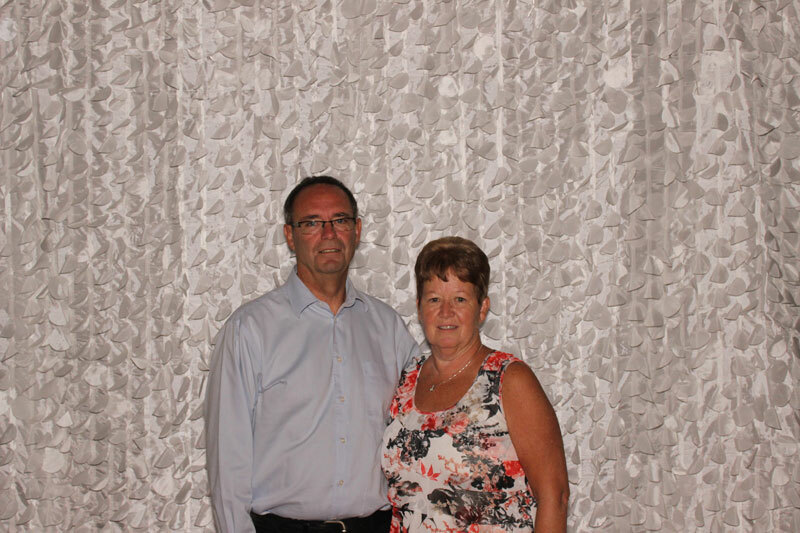 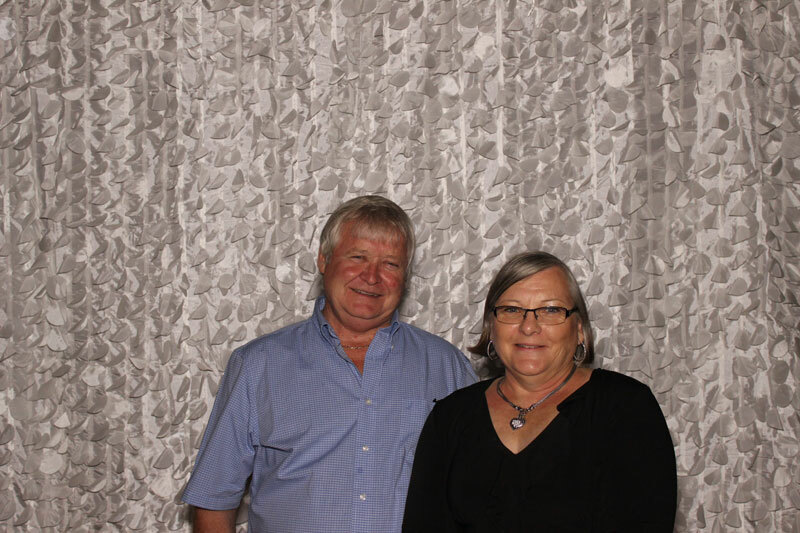 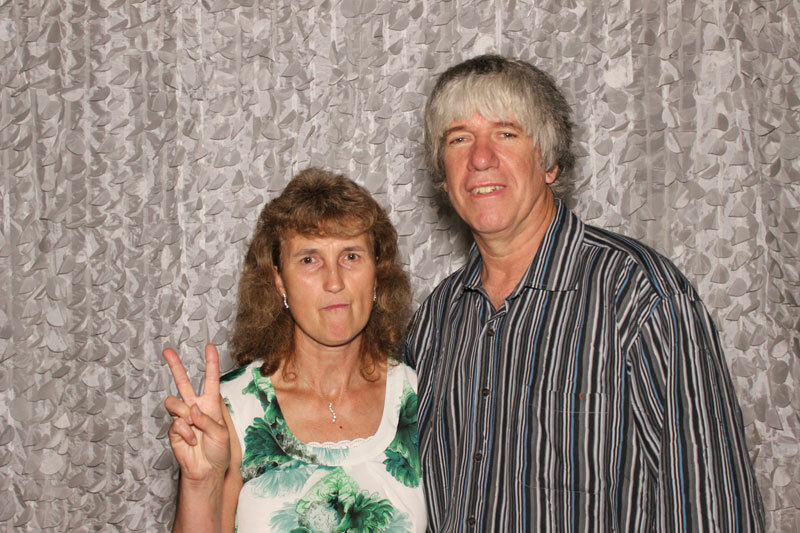 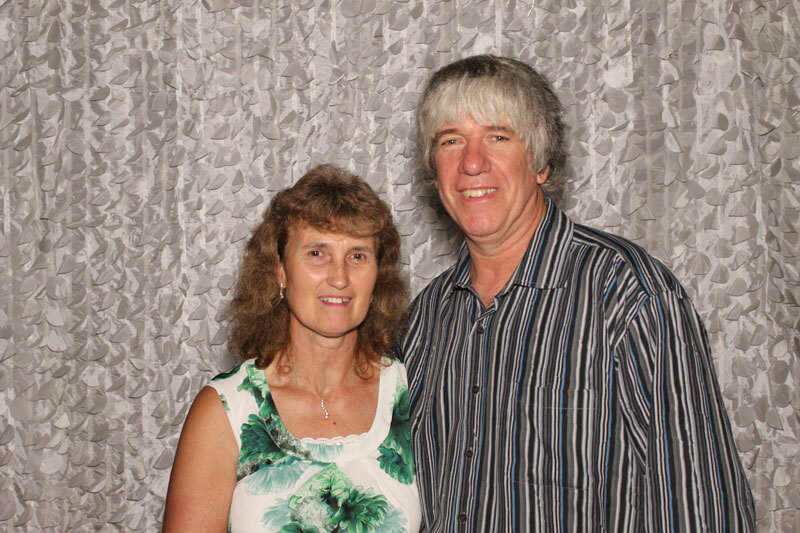 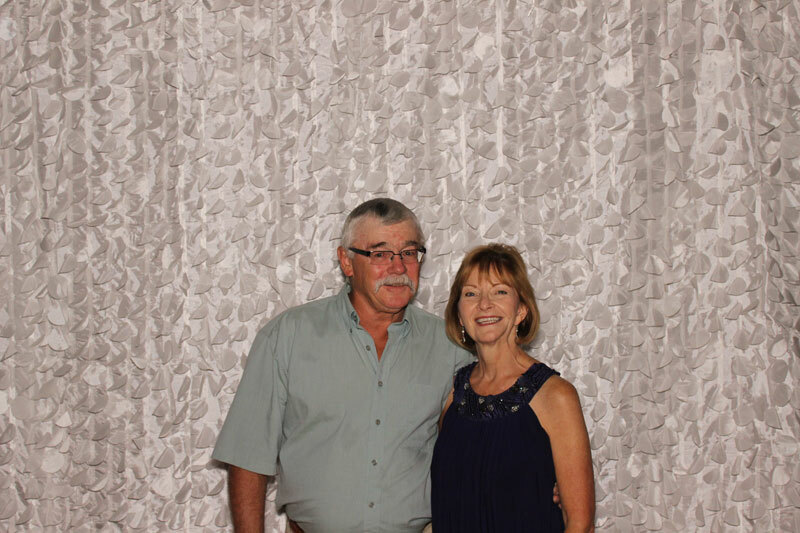 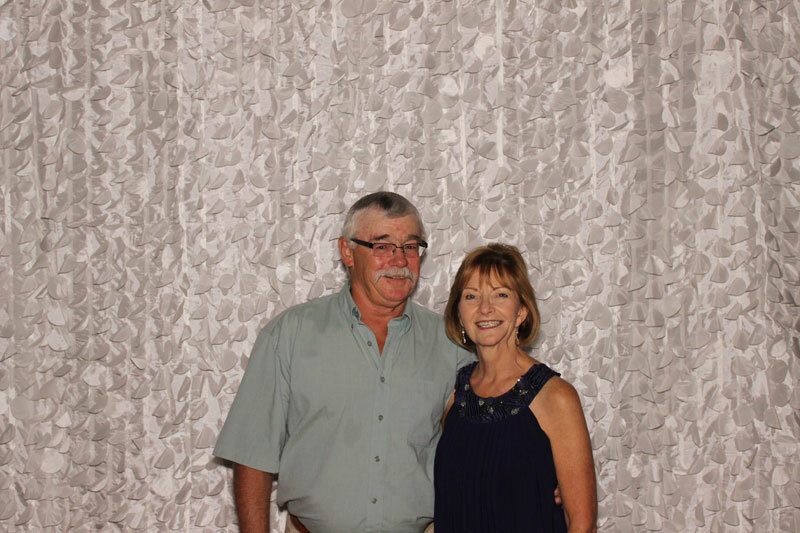 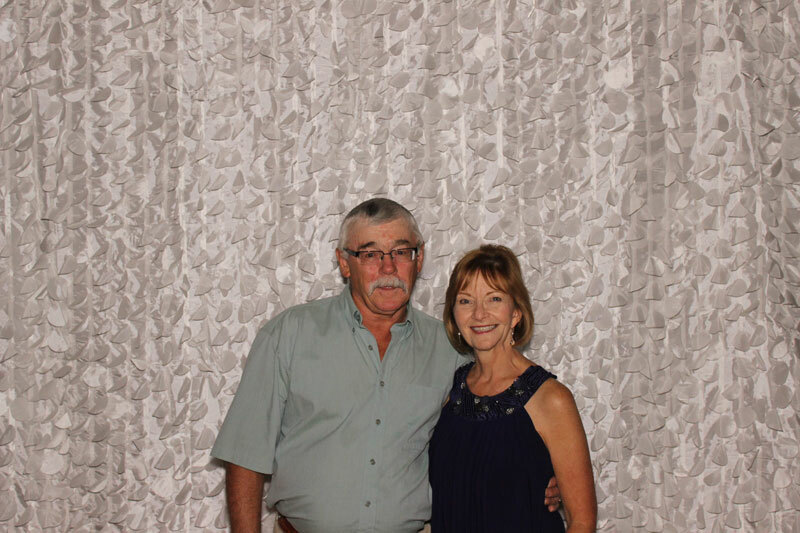 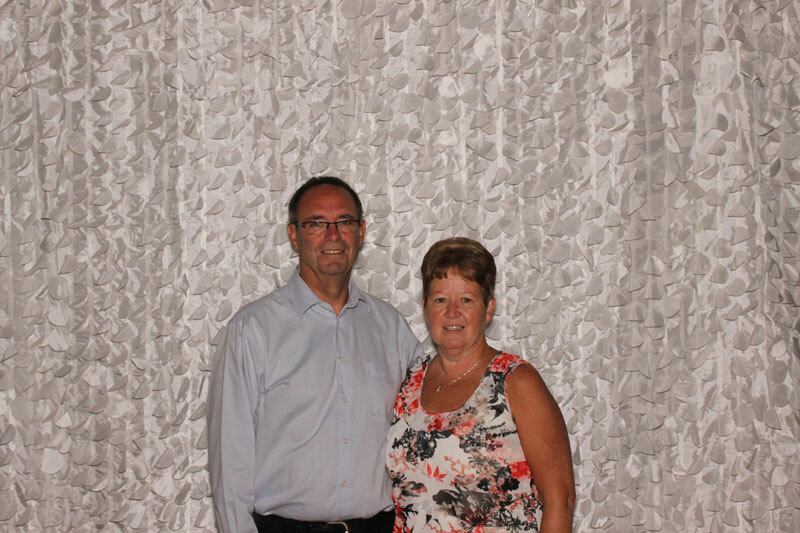 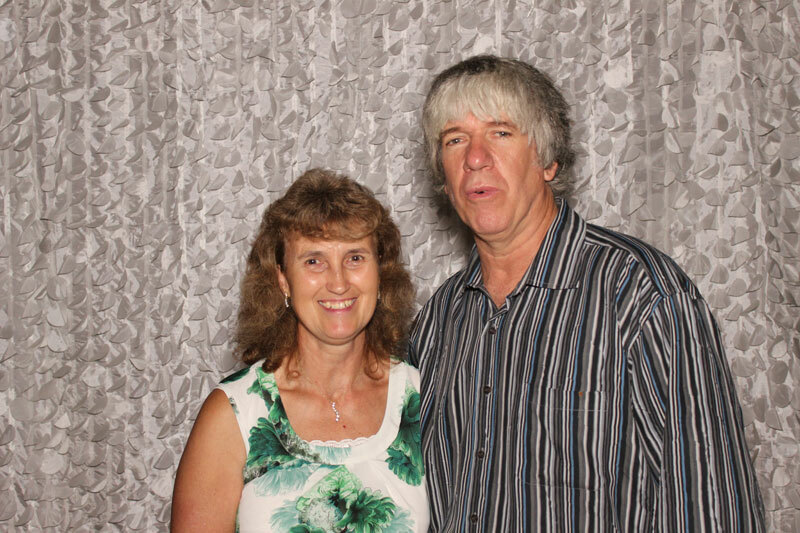 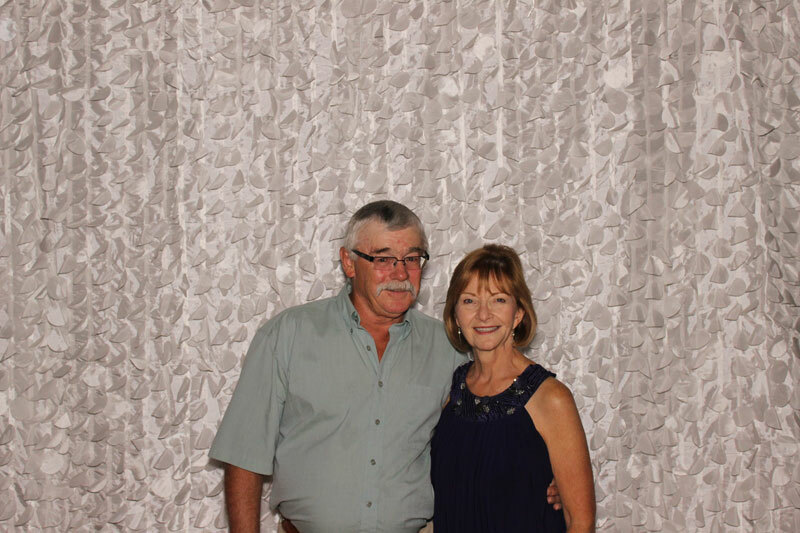 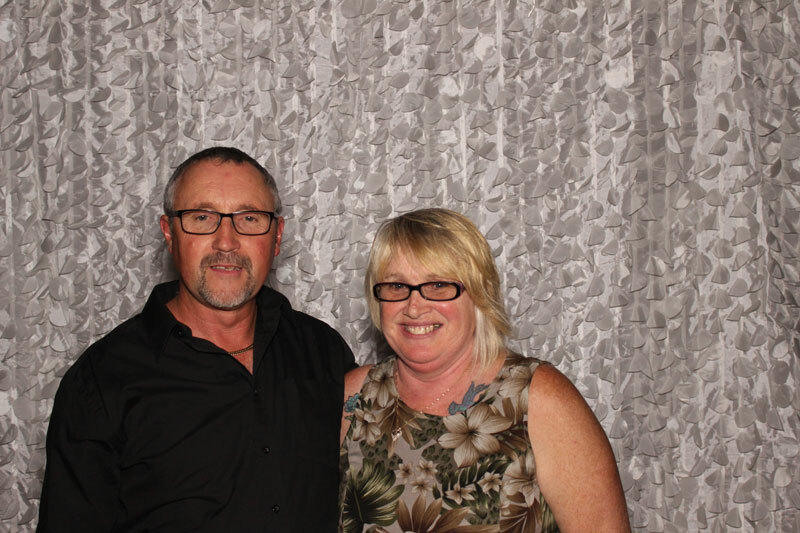 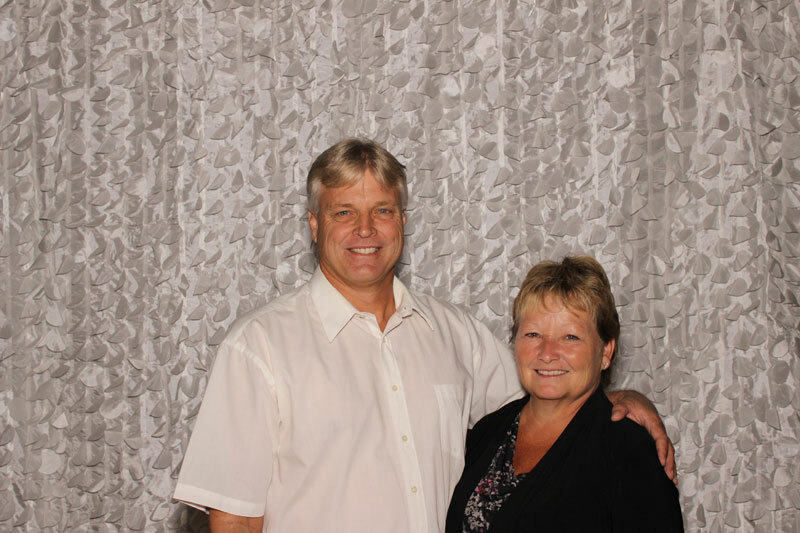 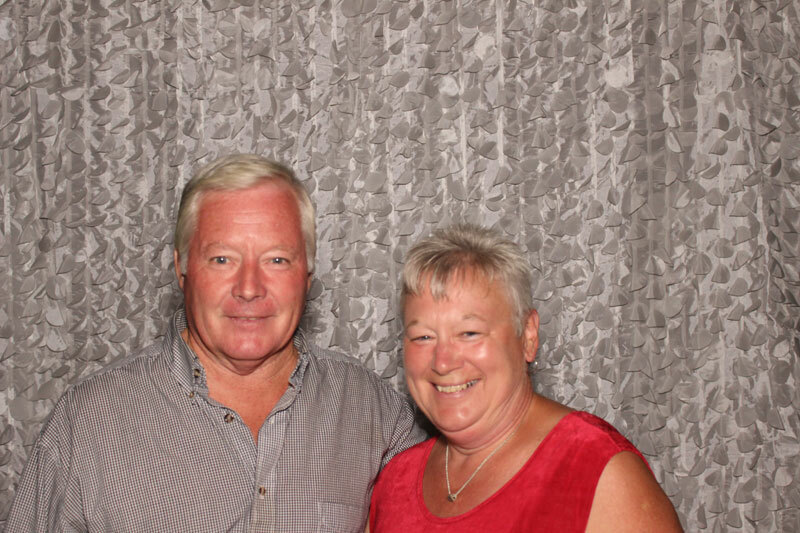 We use a photography backdrop to create a photo lounge feel. This booth was designed with style, open-ness, and fun in mind. 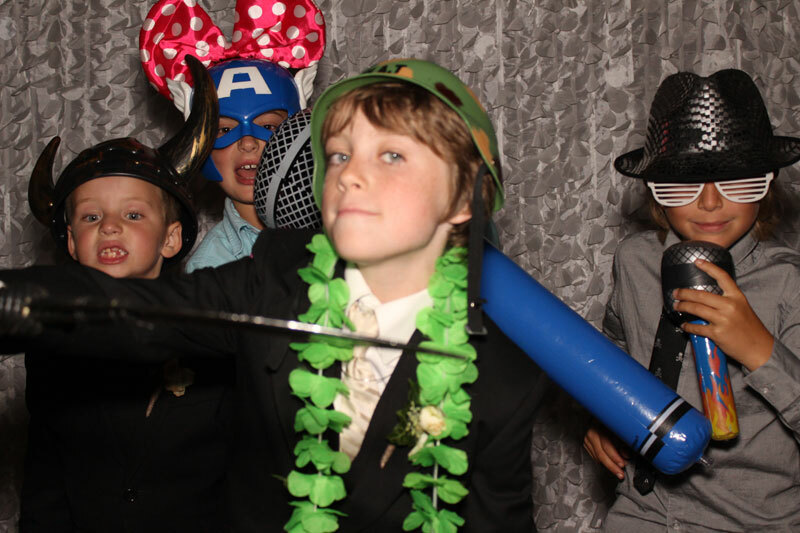 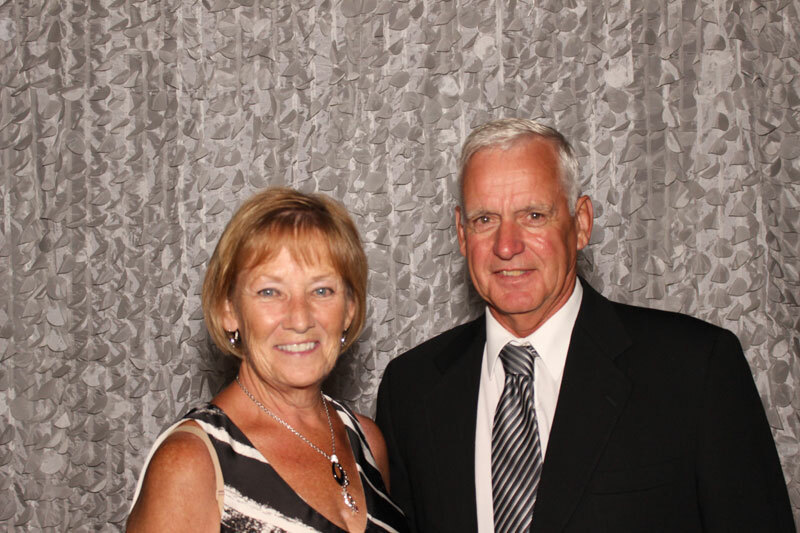 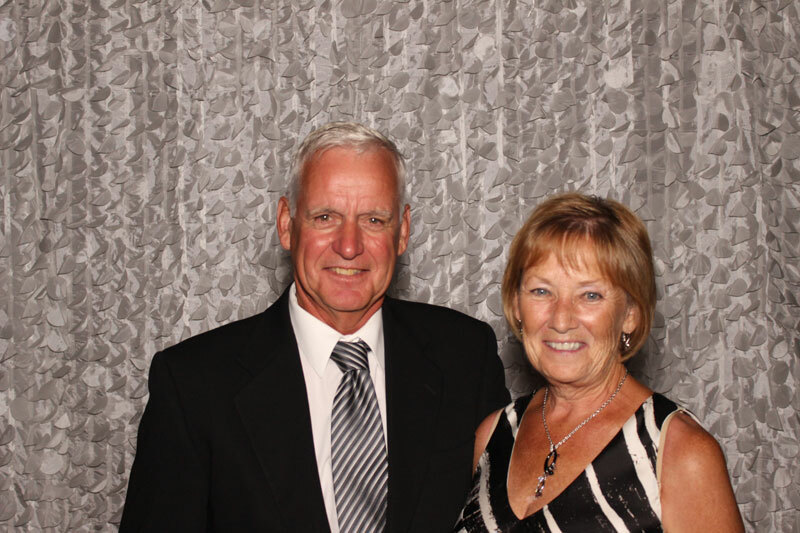 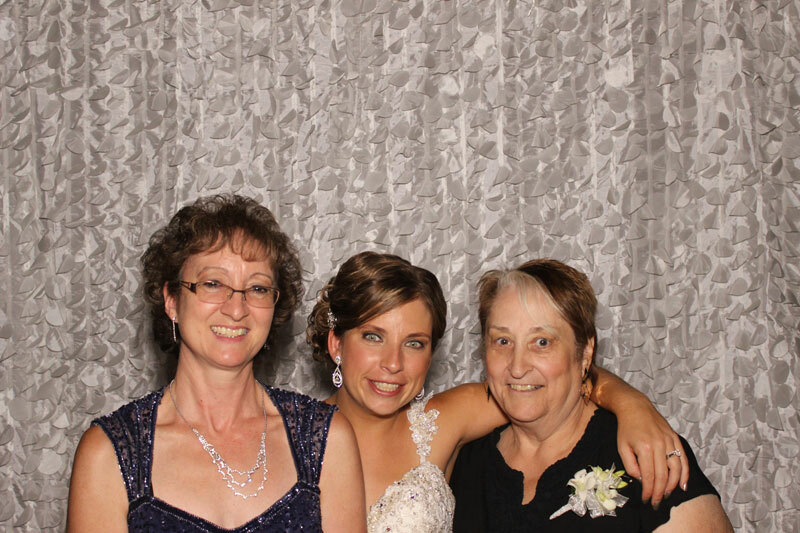 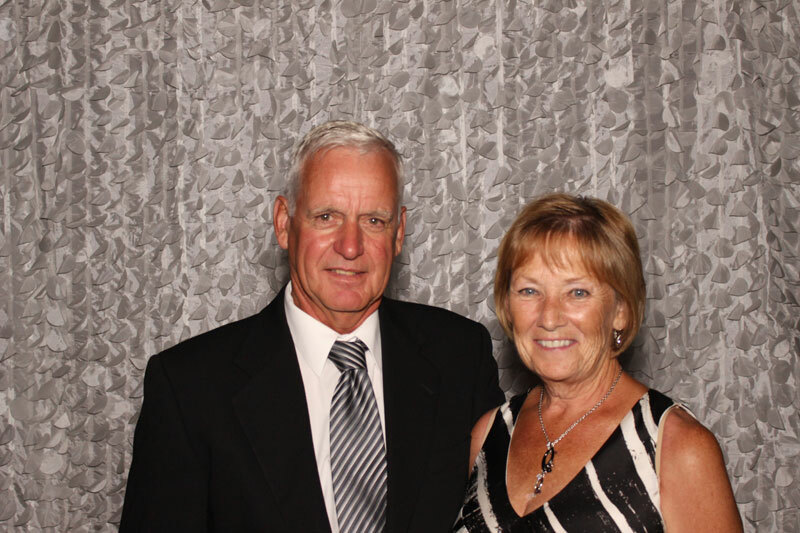 Receive a Memories Scrapbook filled with messages and photos for no extra charge when you have the Photo Strip Premium Print Package added to your special day.